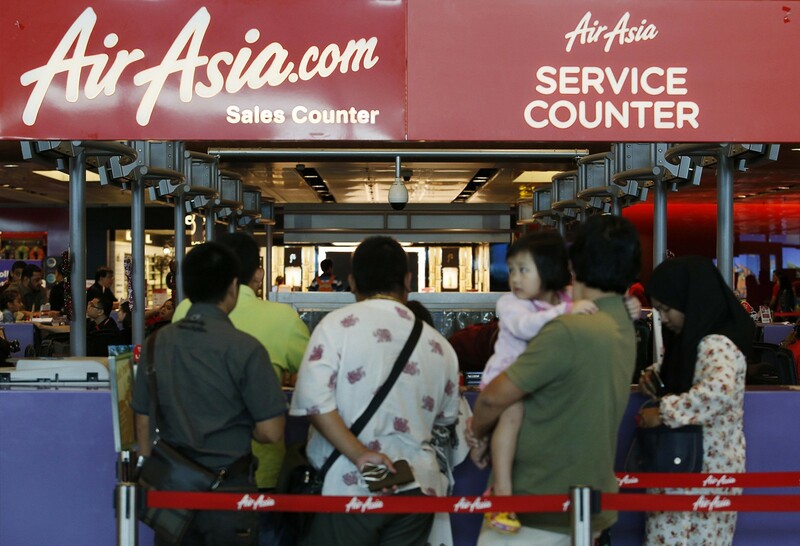 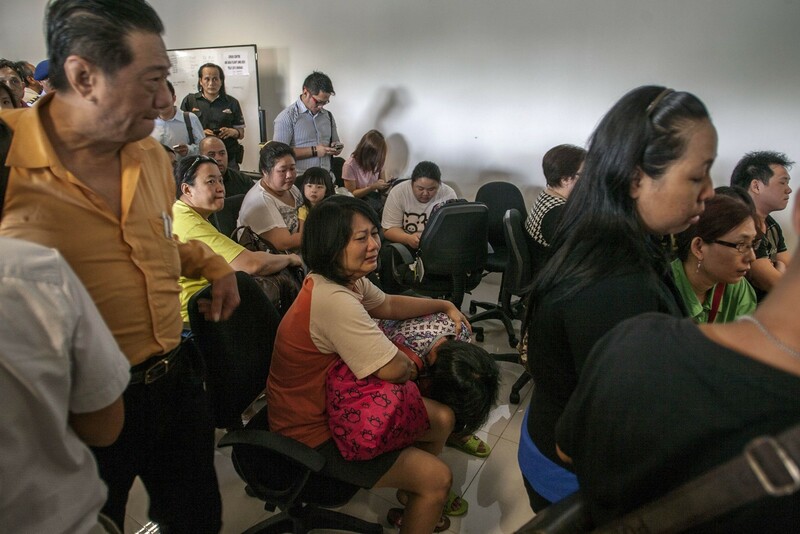 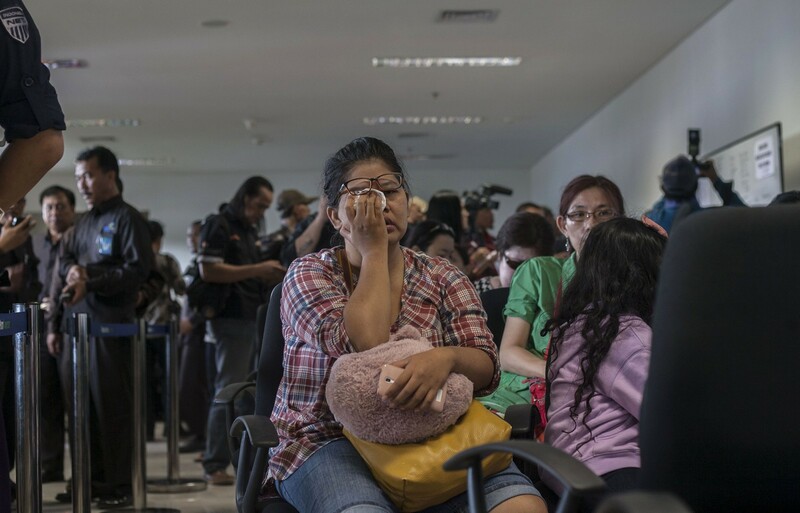 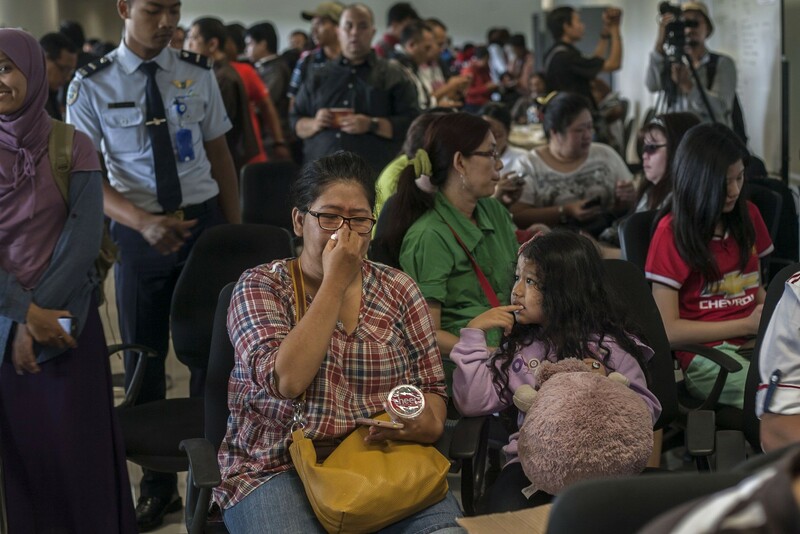 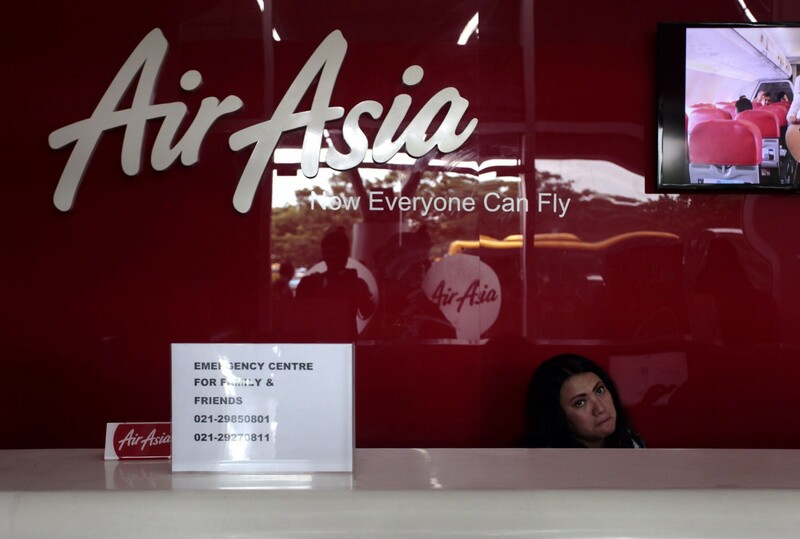 Family of passengers onboard AirAsia flight QZ8501 sit at a waiting area in Juanda International Airport, Surabaya. 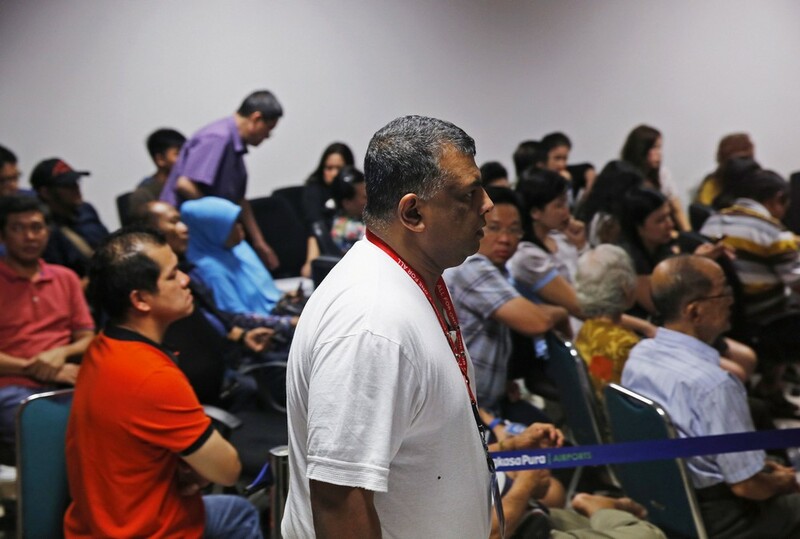 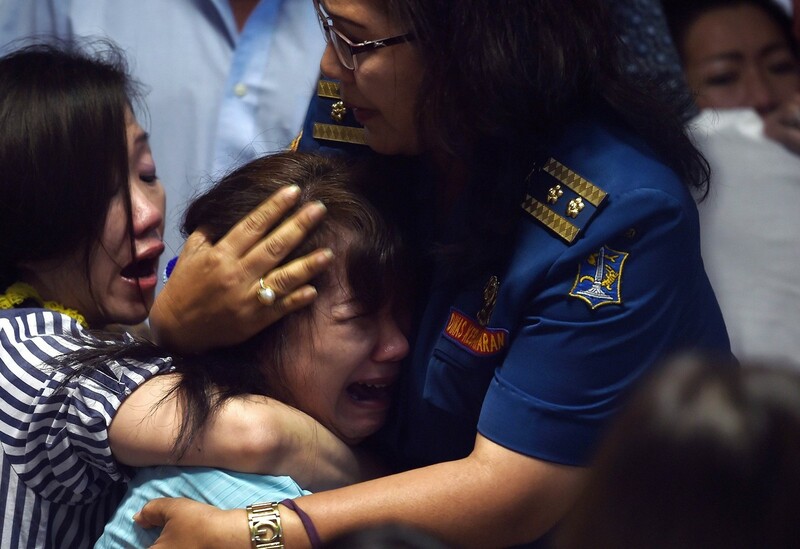 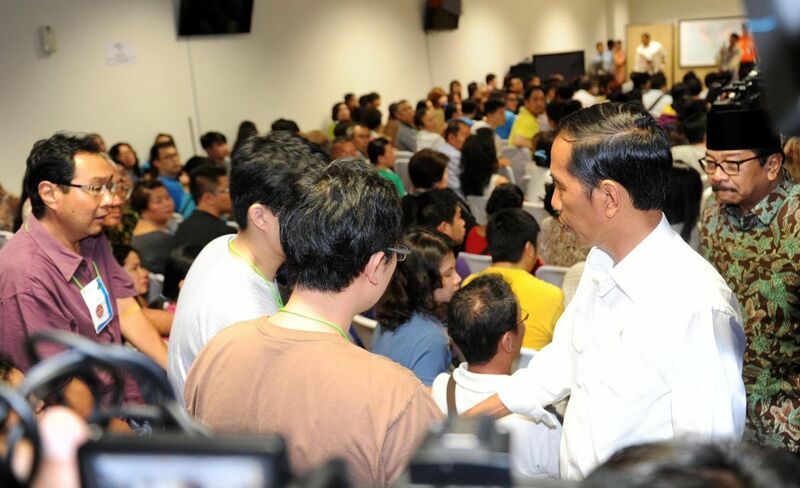 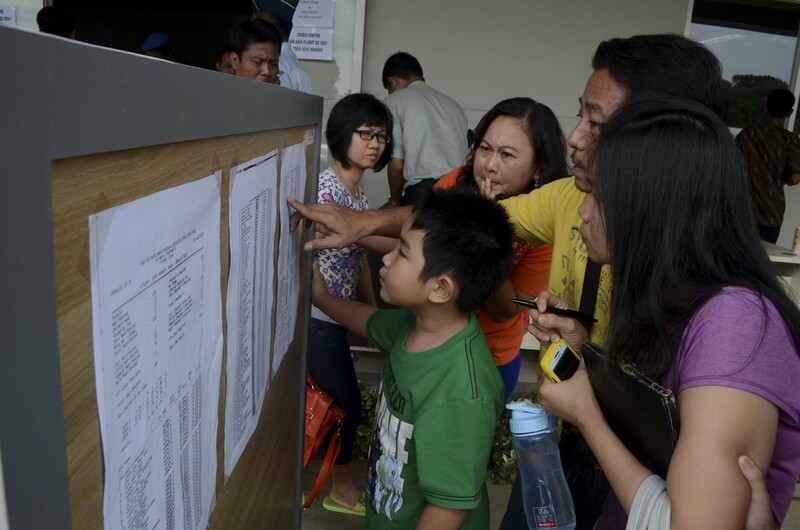 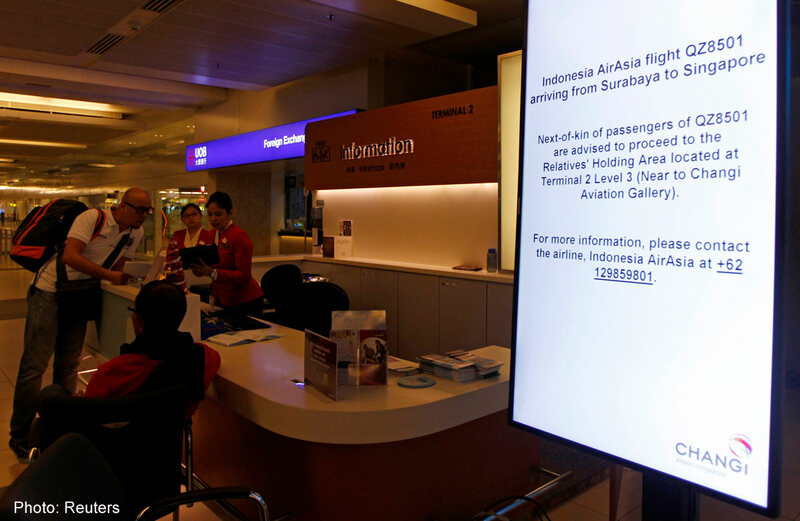 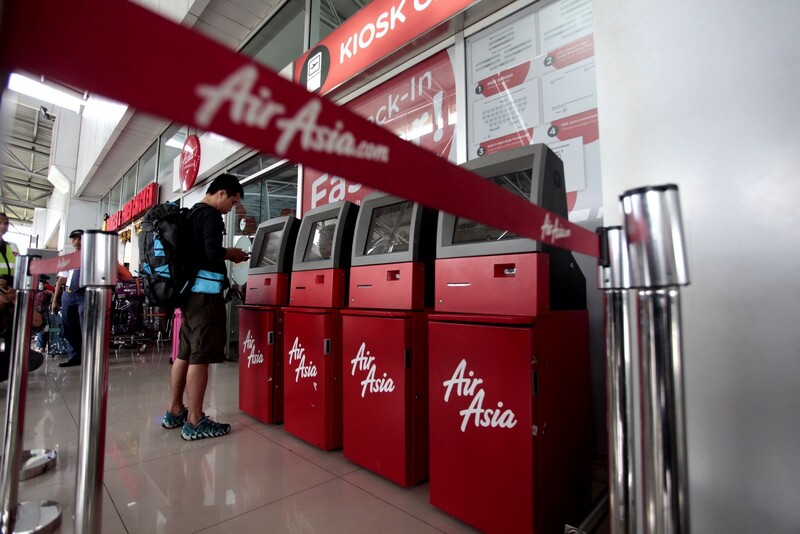 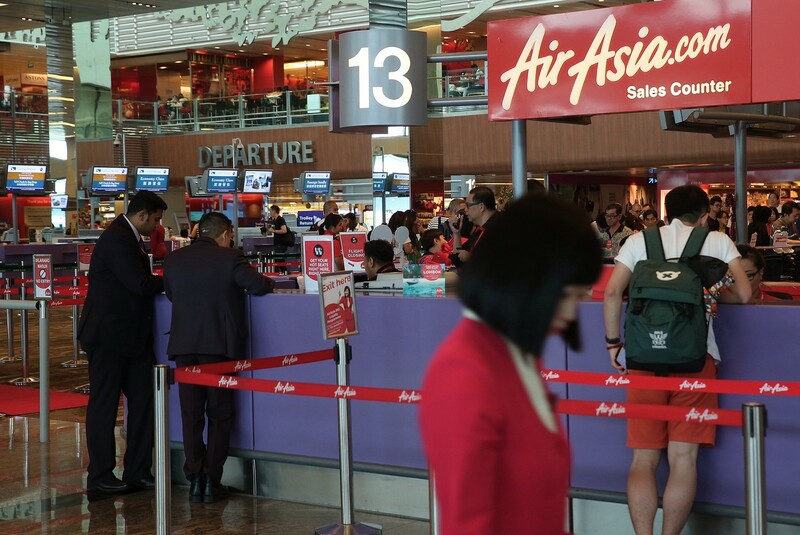 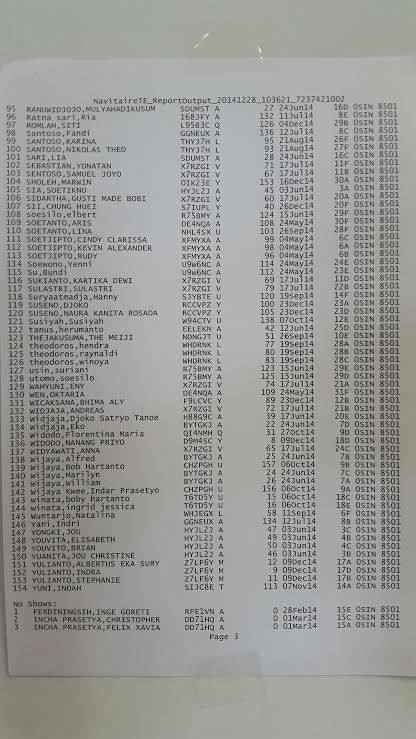 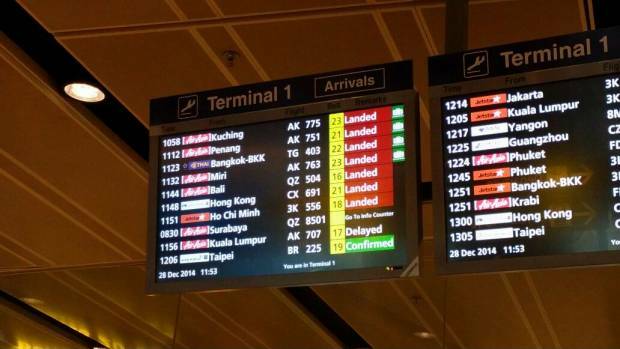 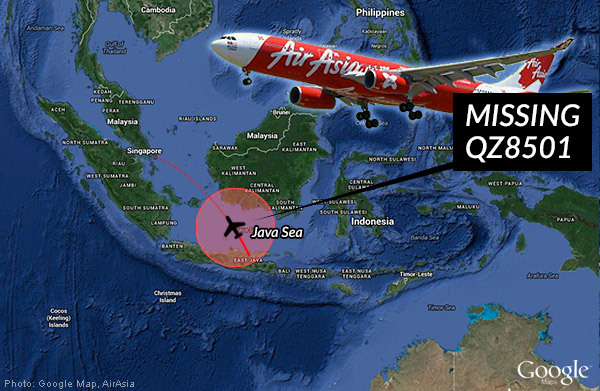 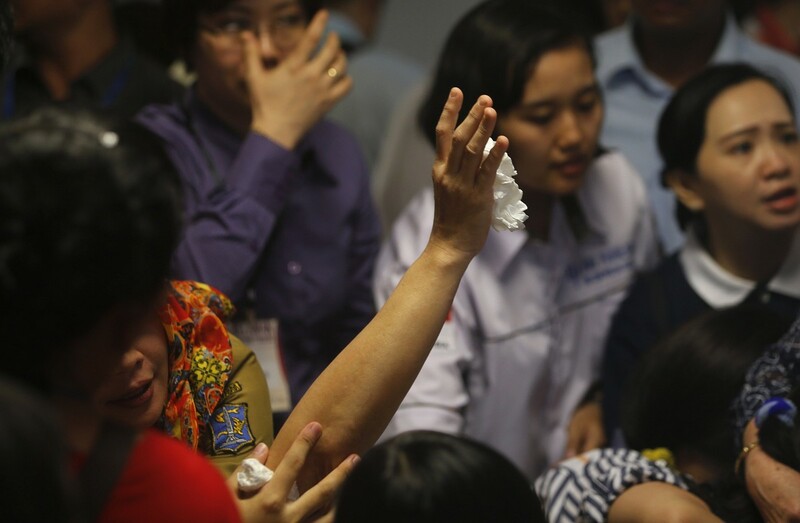 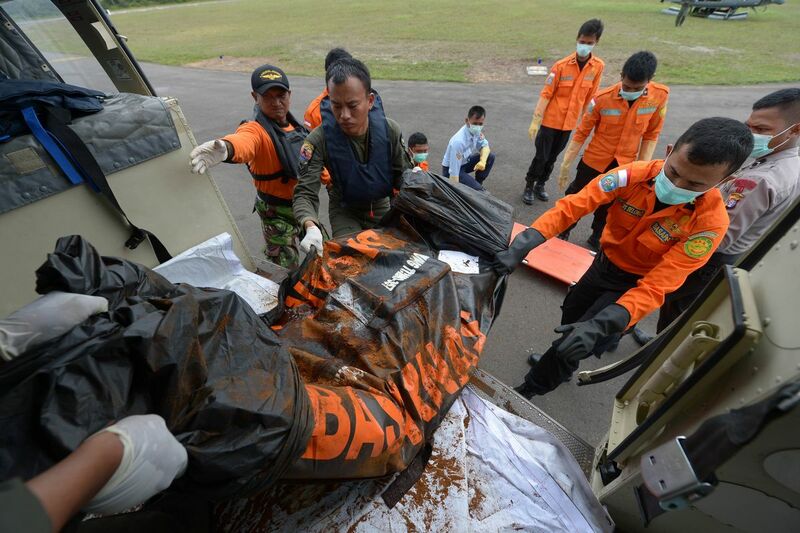 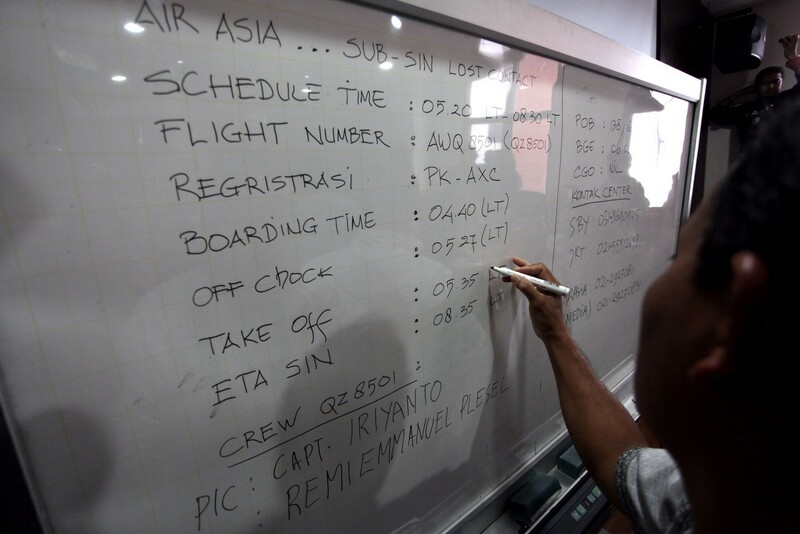 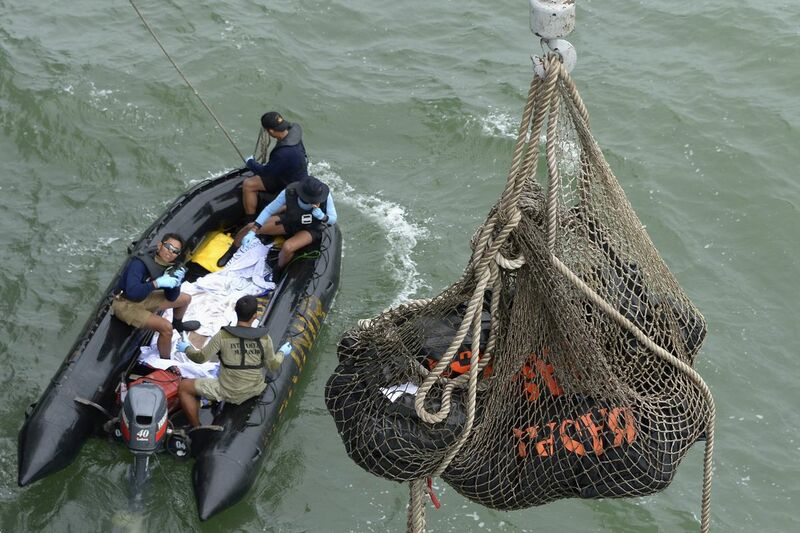 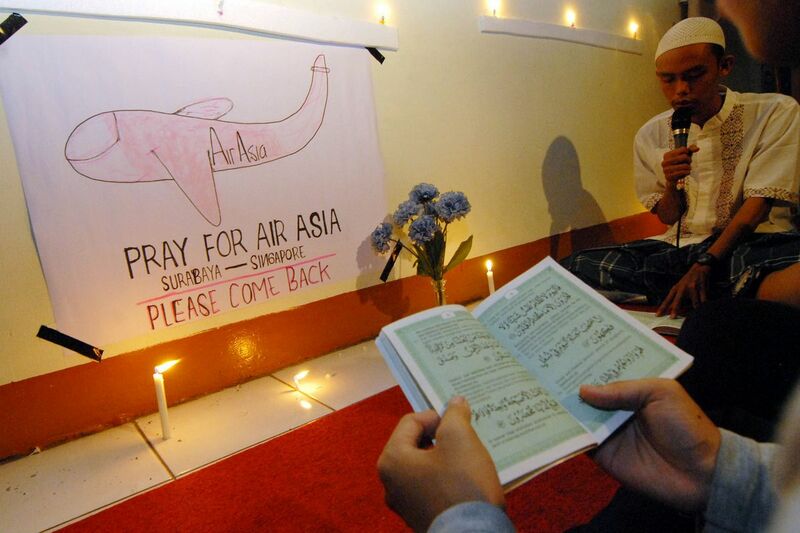 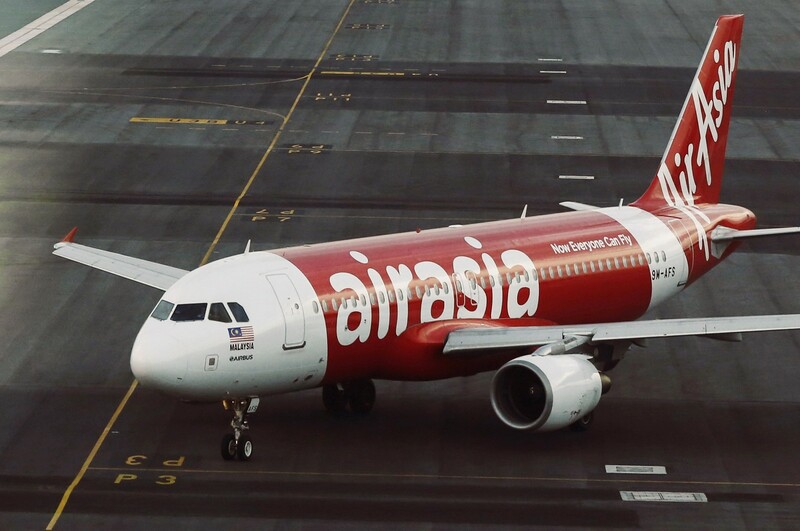 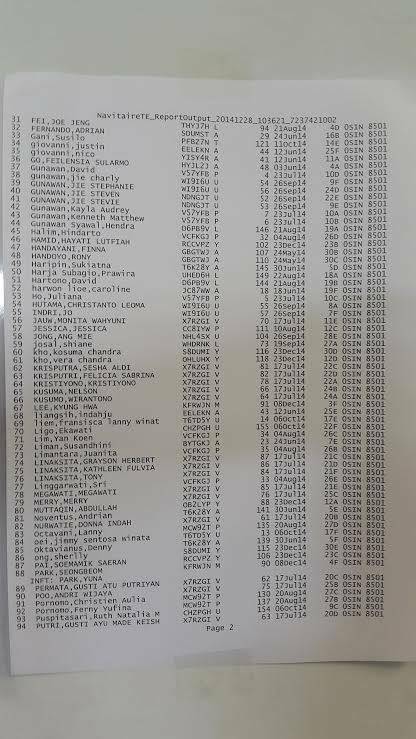 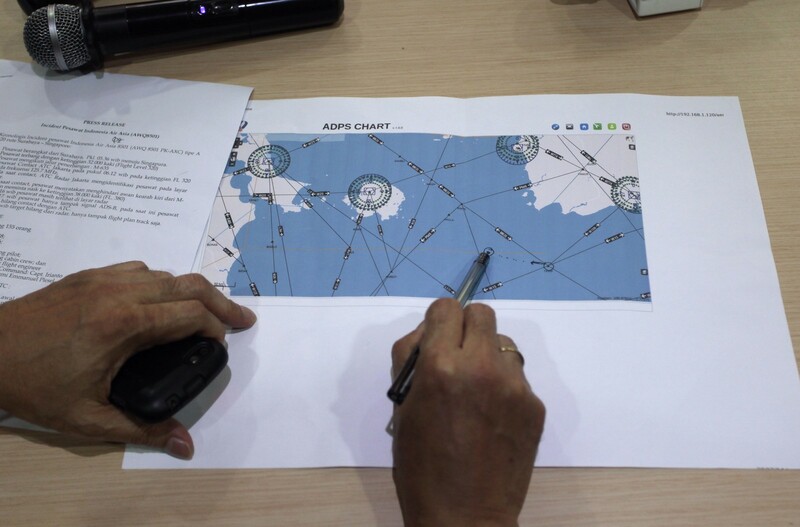 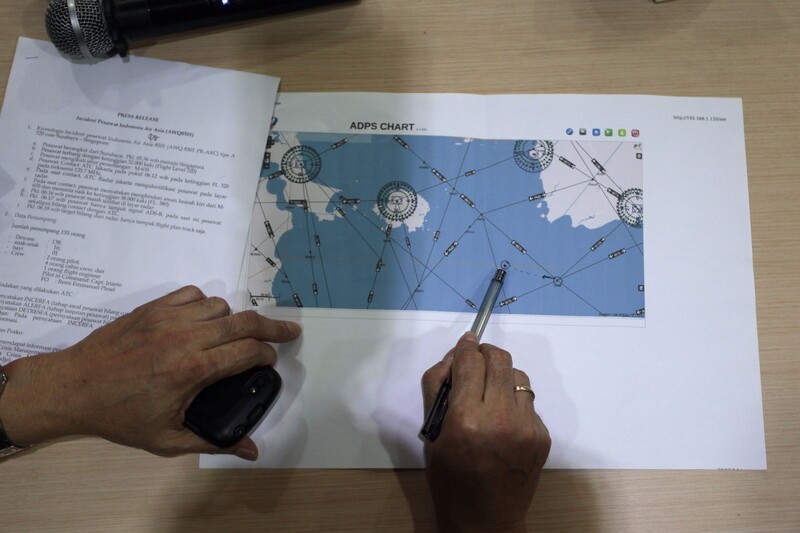 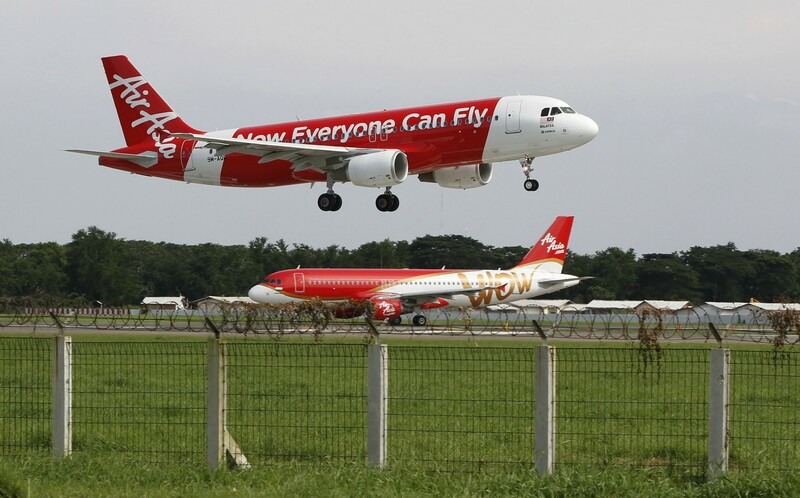 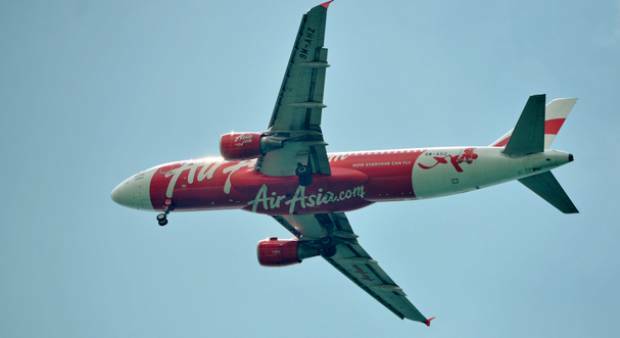 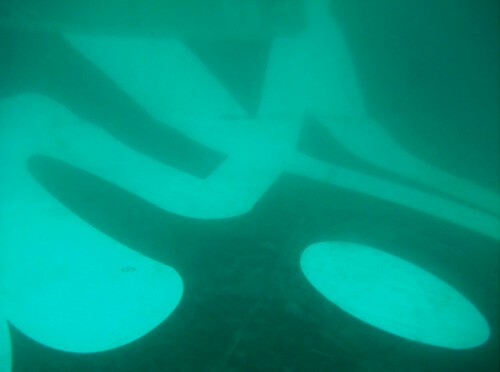 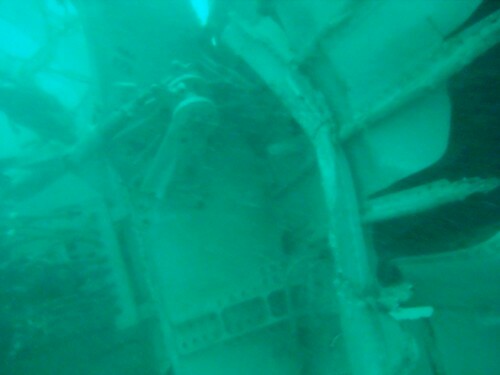 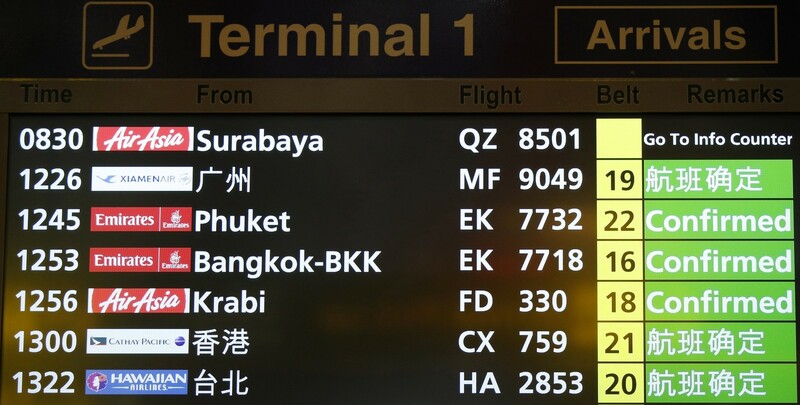 As news that pieces of debris from AirAsia Flight QZ8501 had been found in the Java Sea filtered in at around 2.45pm yesterday, the 150 relatives gathered at Surabaya's Juanda International Airport came to the realisation that the worst had happened. 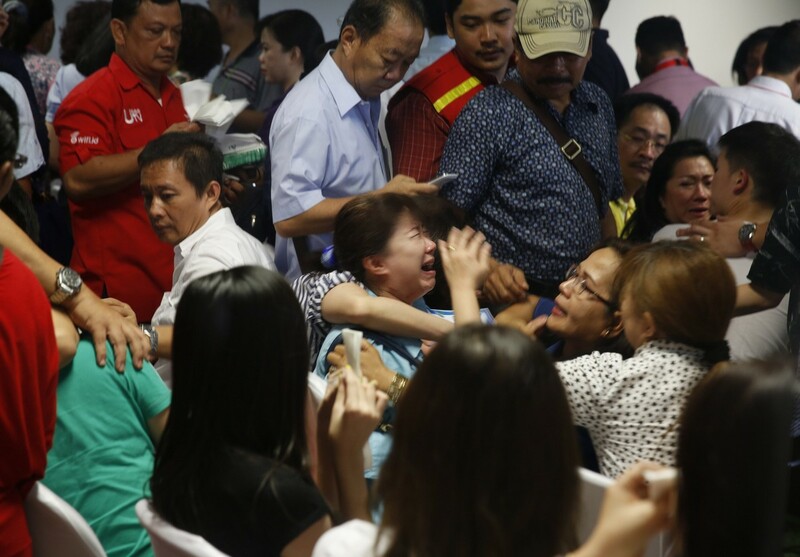 That realisation turned to an outpouring of anguish and chaos when television screens set up in the crisis centre showed graphic footage of a body floating in the sea. 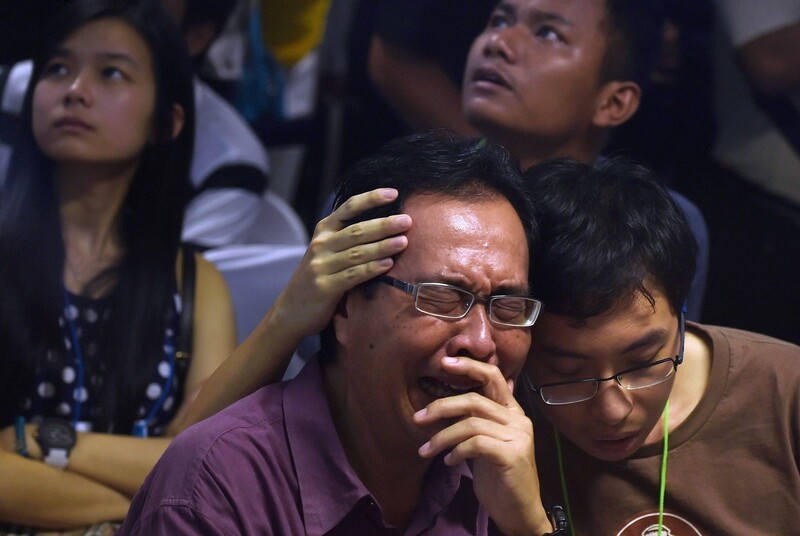 Confronted by the shocking images, several relatives fainted, others wailed hysterically and collapsed, sobbing. 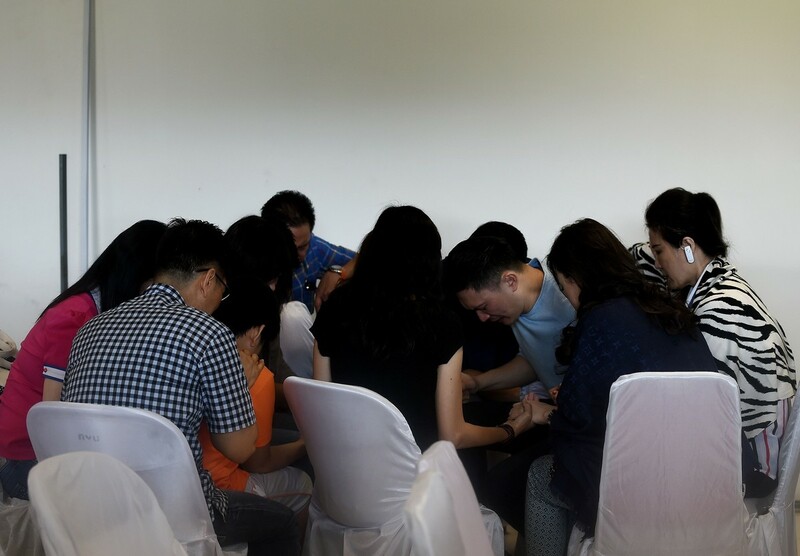 Most put their faces in their hands, or clutched one another as they tried to come to terms with the news that came after two days of waiting and praying. 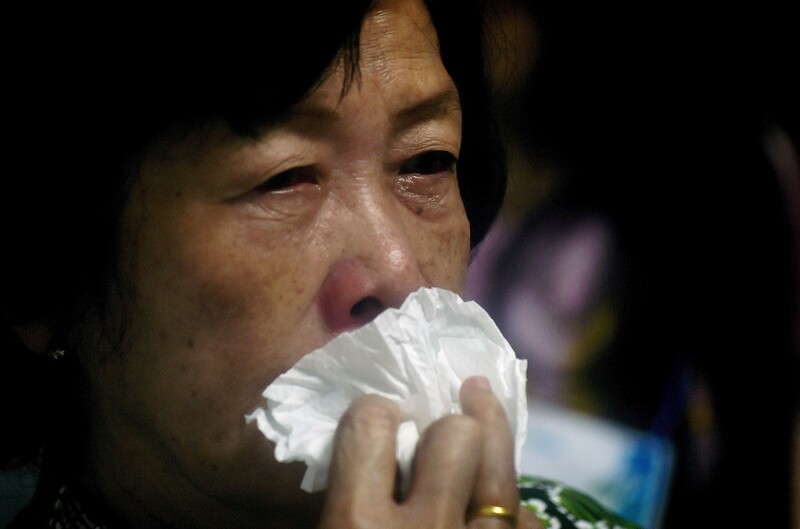 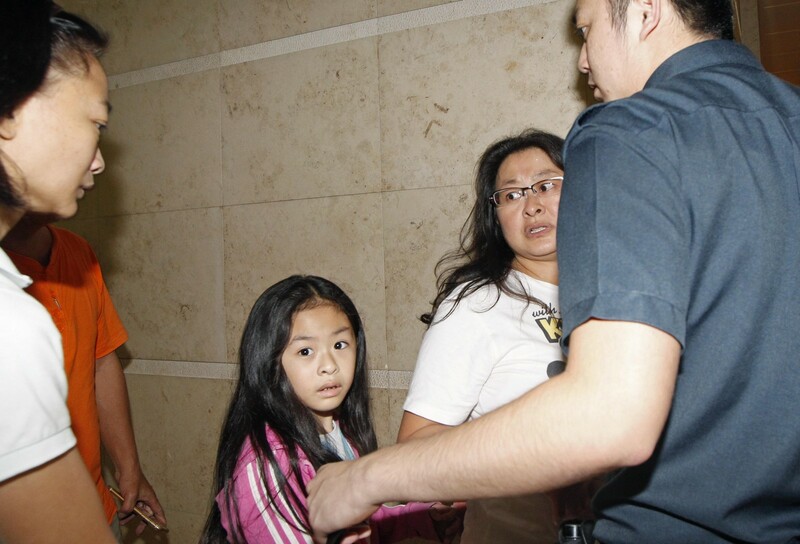 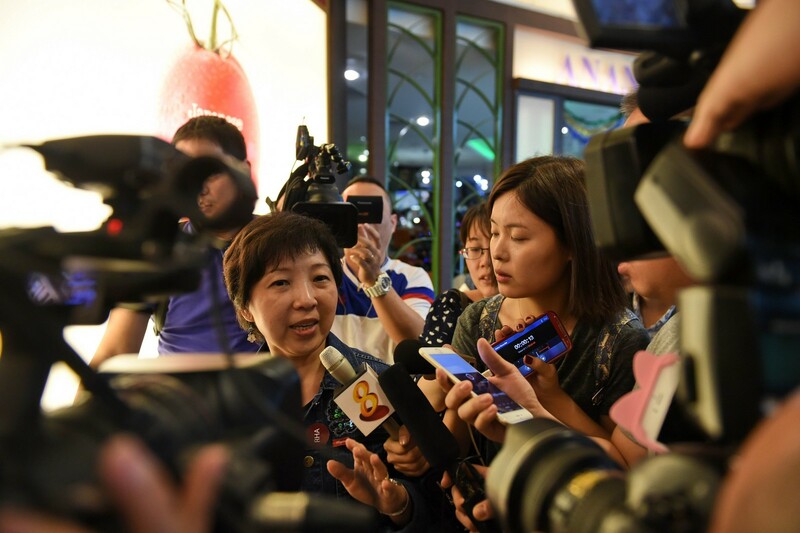 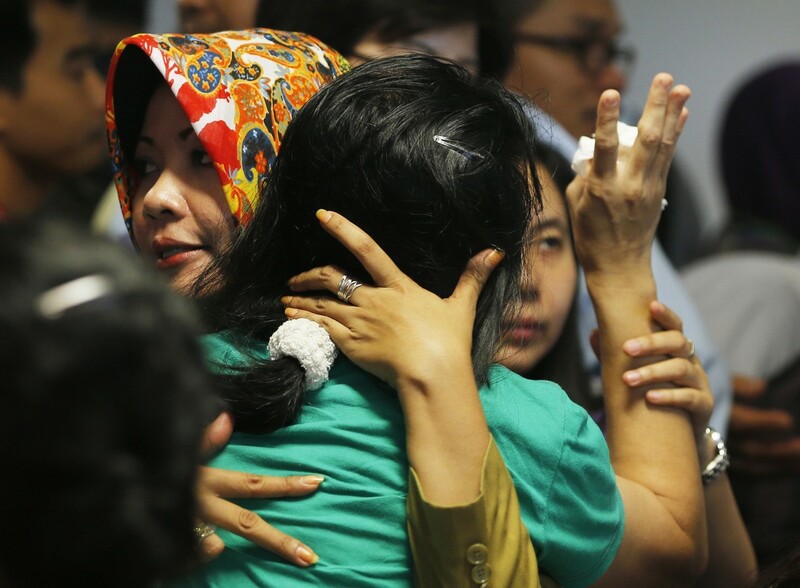 Trying to comfort the grieving relatives, Surabaya Mayor Tri Rishmaharani told them: "You have to be strong. 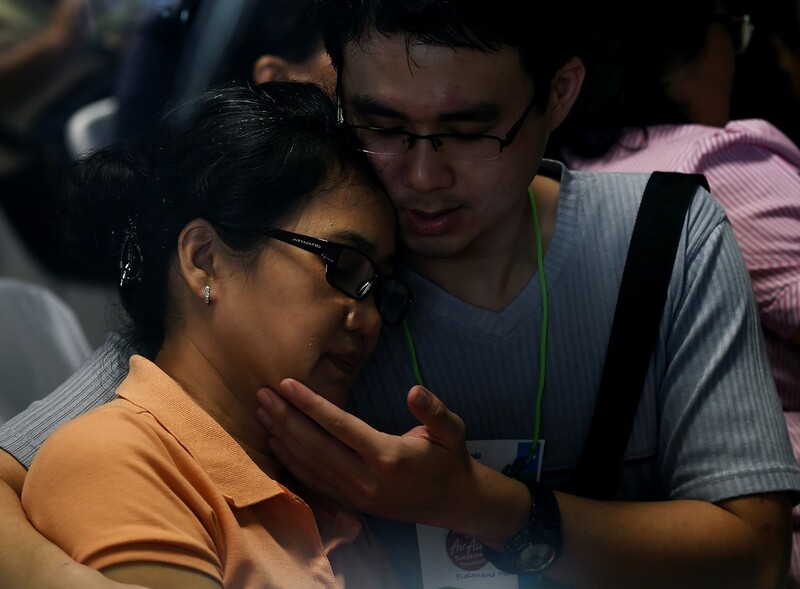 They are not ours, they belong to God." 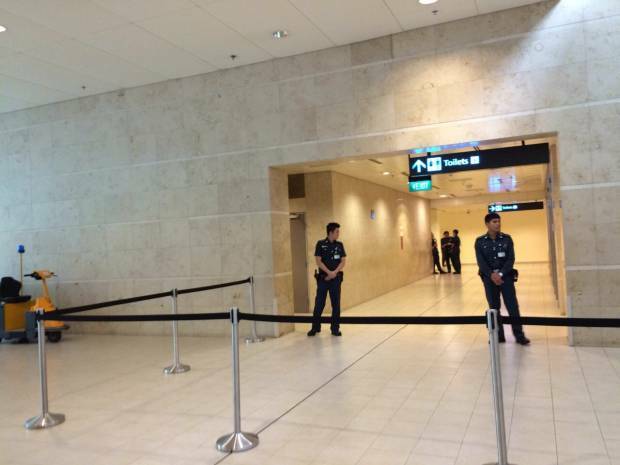 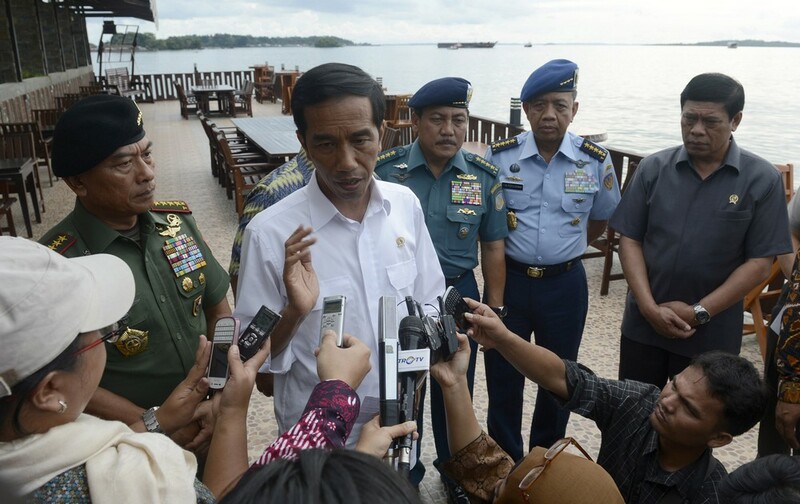 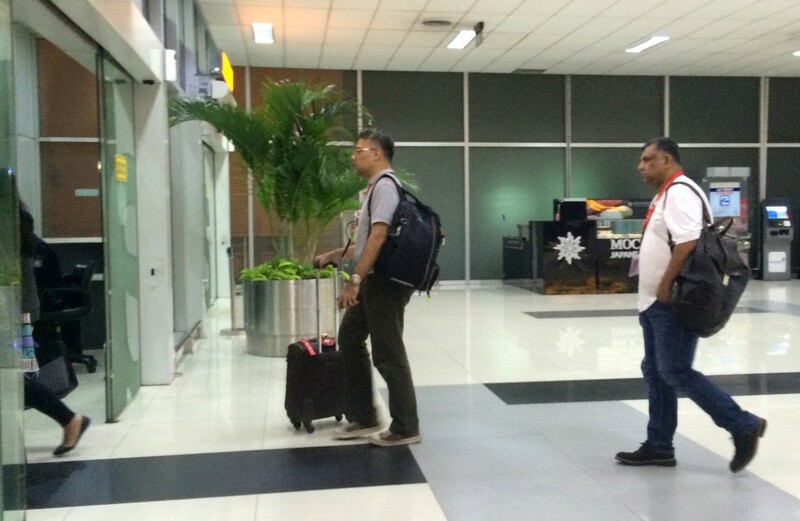 At around 7pm, after a three-hour security operation which included putting up a metal detector and security cordon around the crisis centre, Indonesian President Joko Widodo arrived at the airport and went straight there. 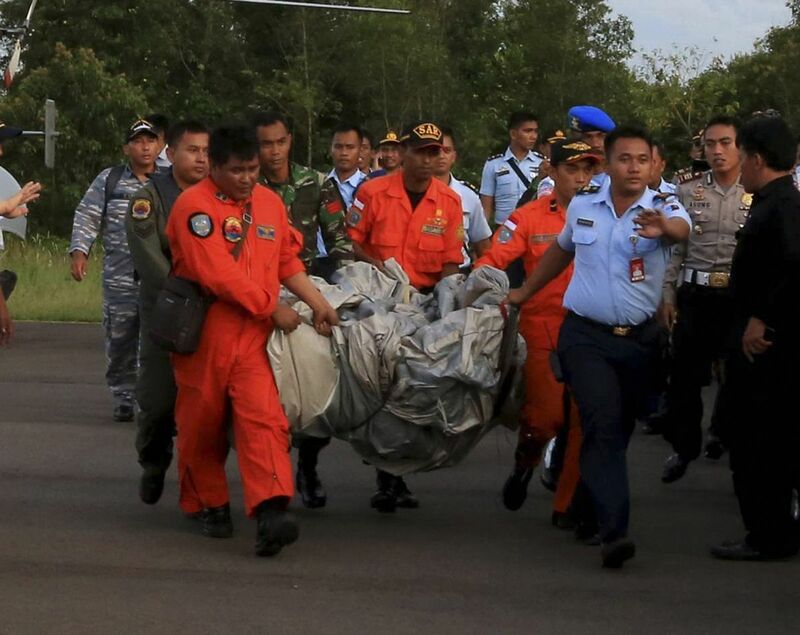 Coming out briefly to speak to the media, he said the crash site had been located and promised a "massive search" for the plane, passengers and crew. 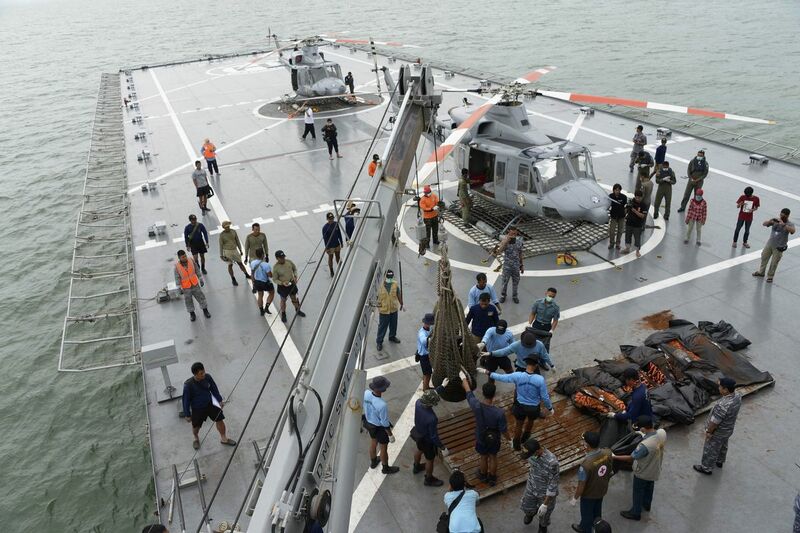 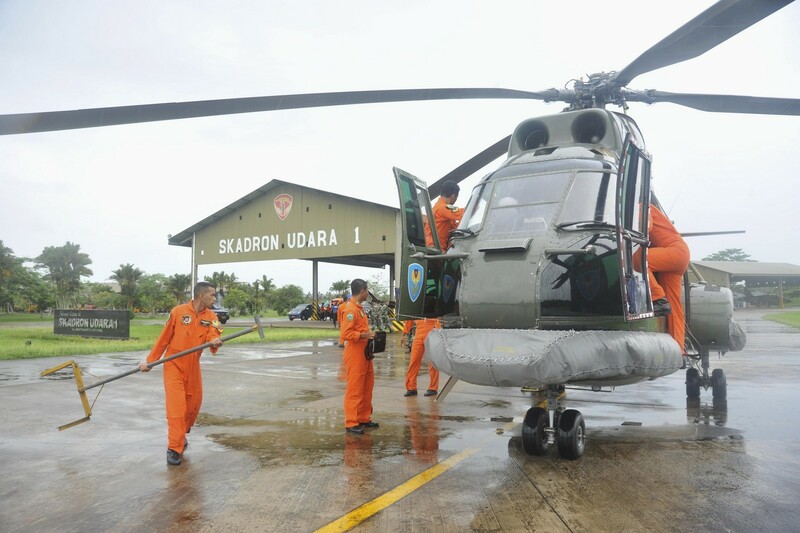 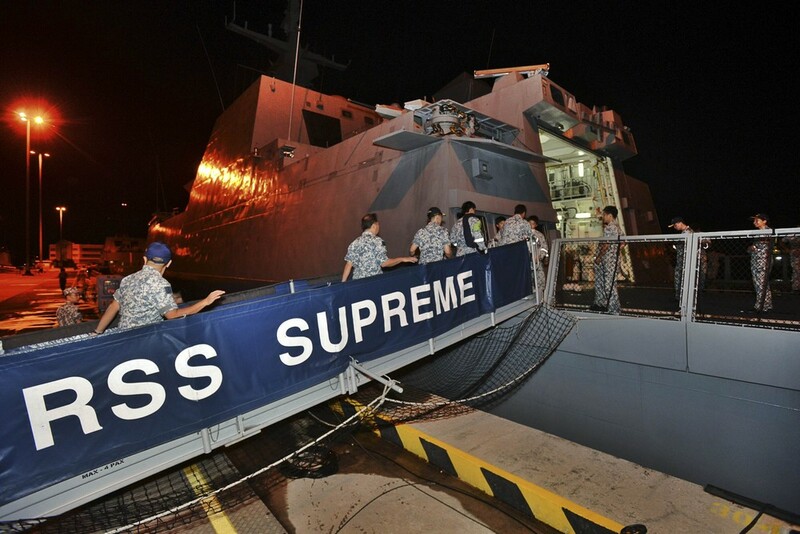 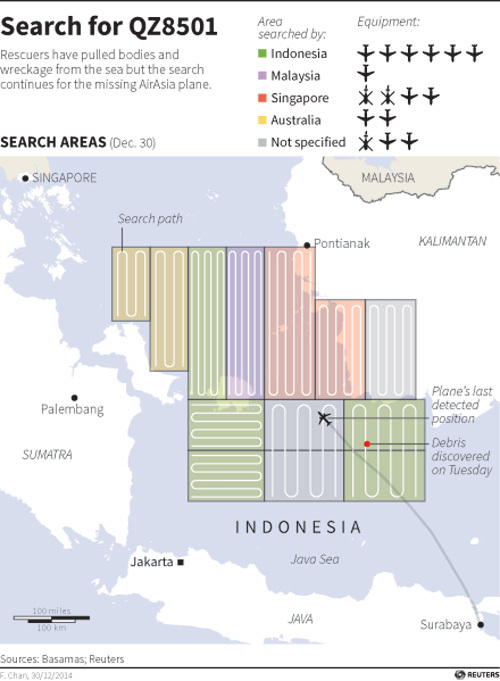 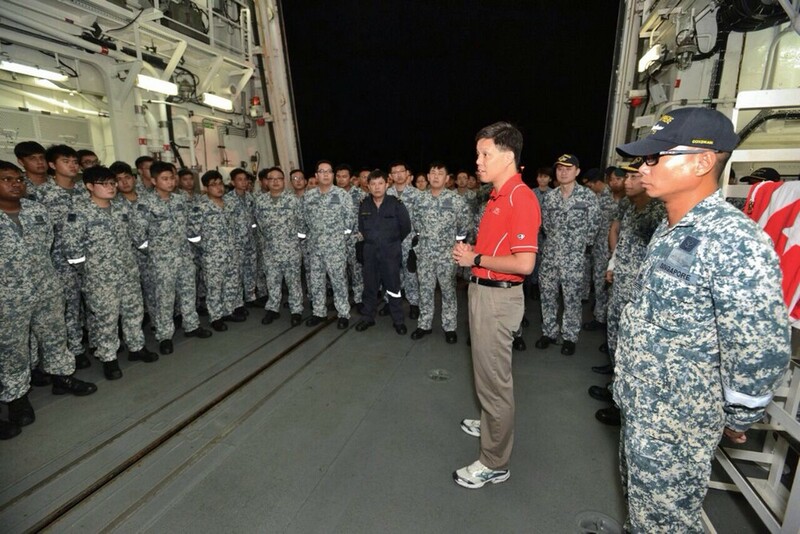 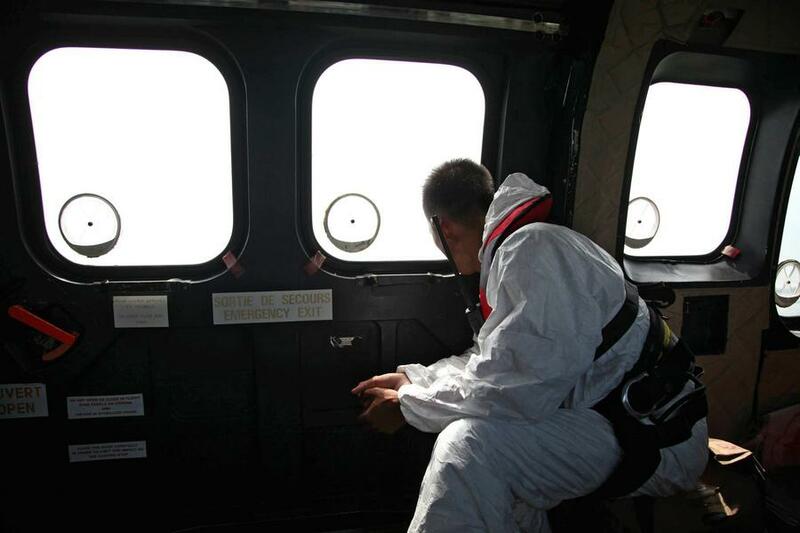 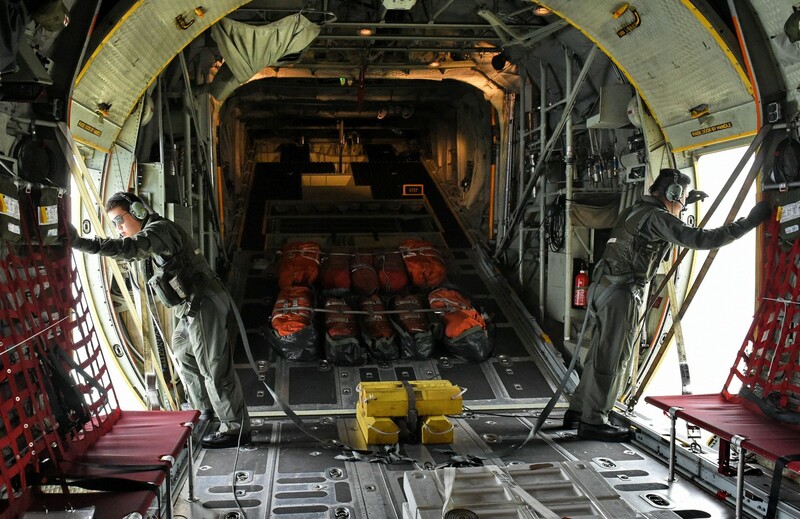 Helicopters, ships and boats will head to the search area, he said, and thanked the "friendly countries" of Singapore, Malaysia and Australia for their contributions. 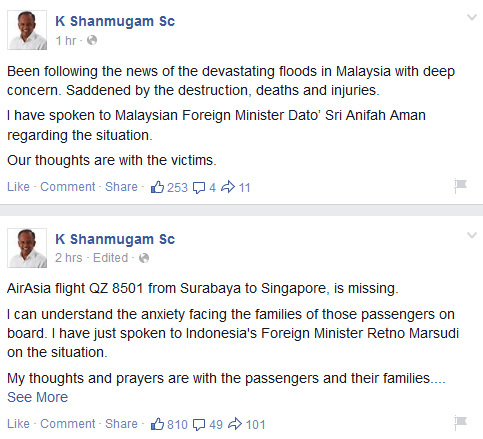 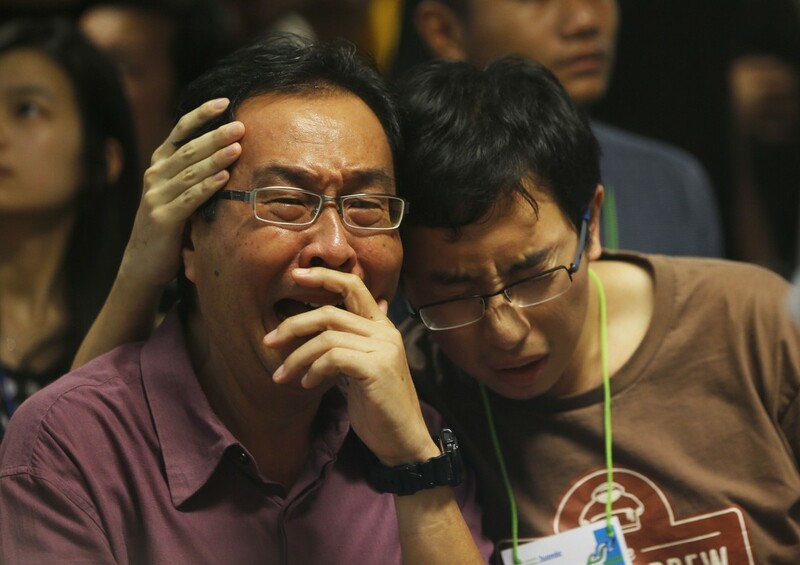 "To the families of victims, I feel the feelings of loss. 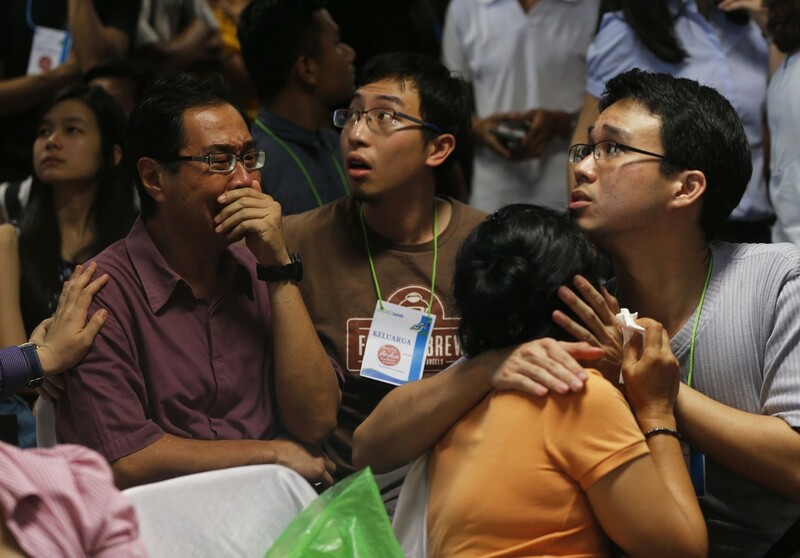 We all pray for the families to be given fortitude to face this tragedy," he added. 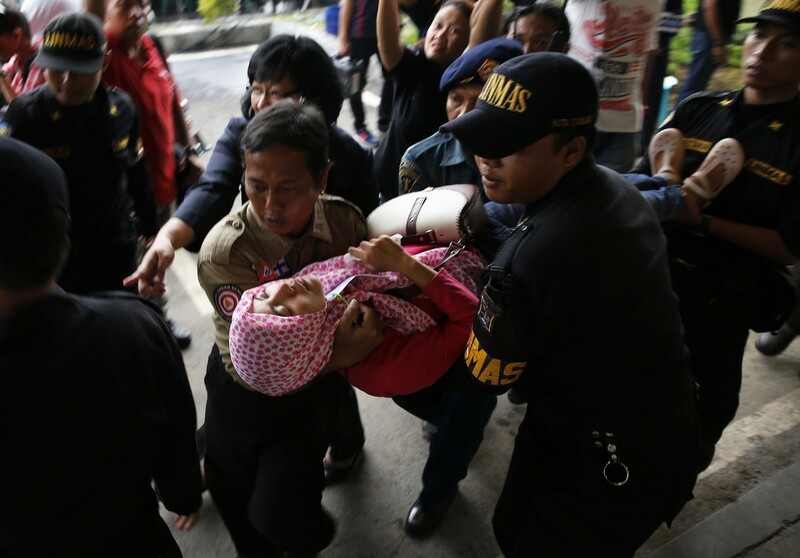 Family members are expected to be taken by bus to a hospital in Surabaya - Rumah Sakit Bhayangkara - this morning. 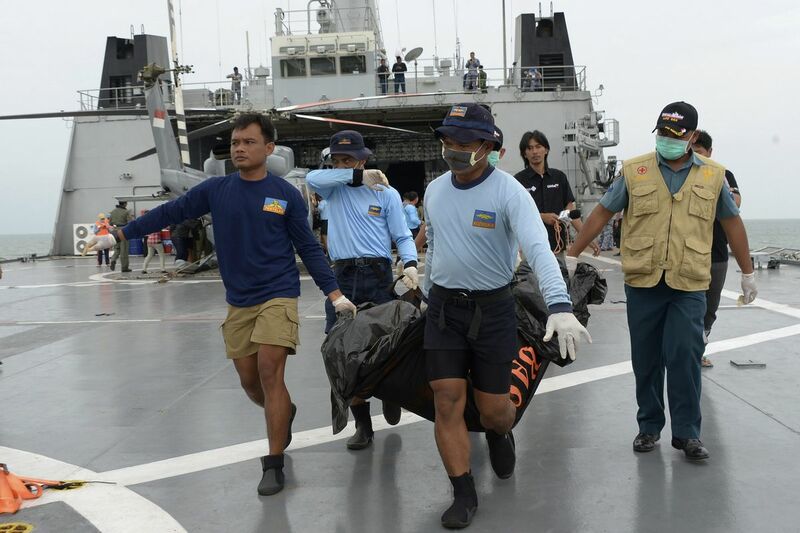 Facing them will be the horrific task of identifying bodies taken there. 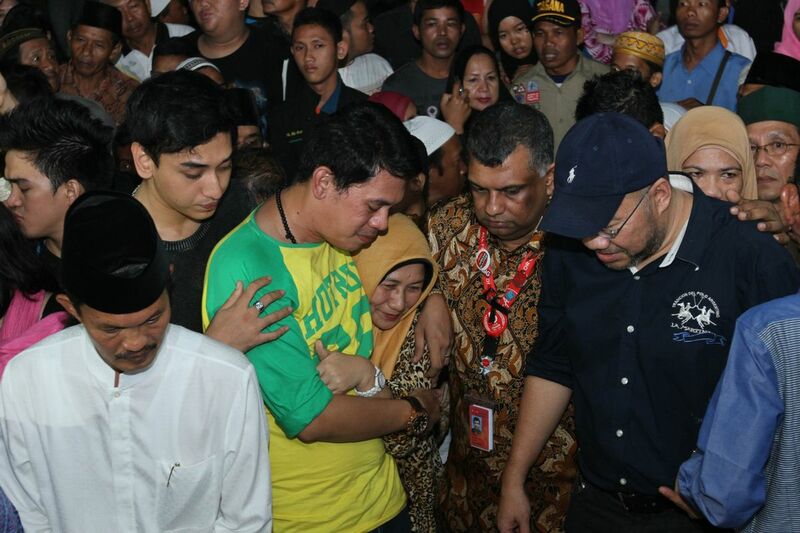 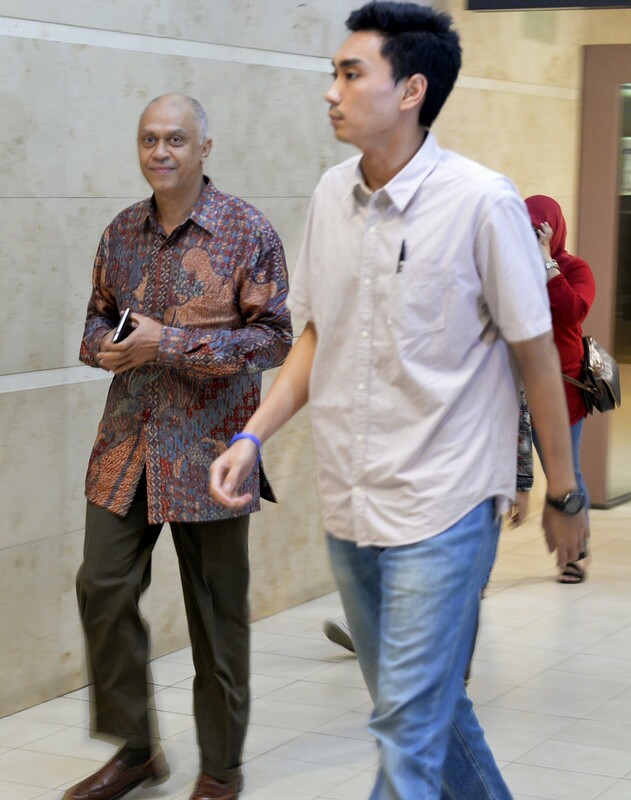 Mr Joko left the centre at 7.30pm, after again speaking to relatives. 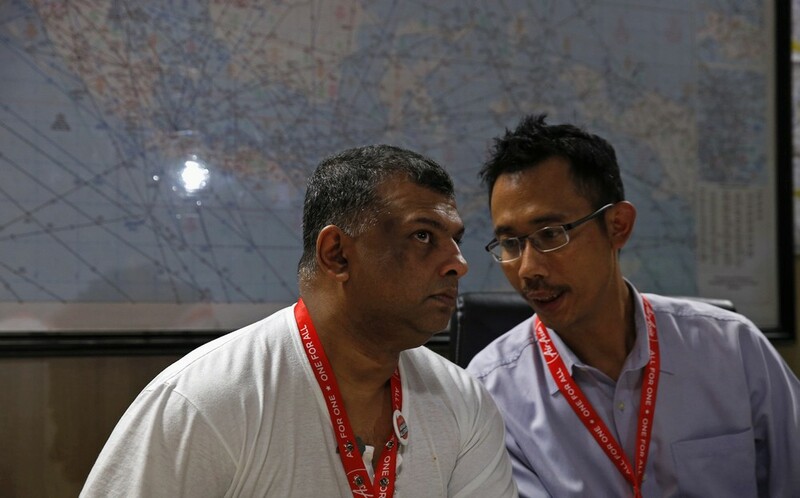 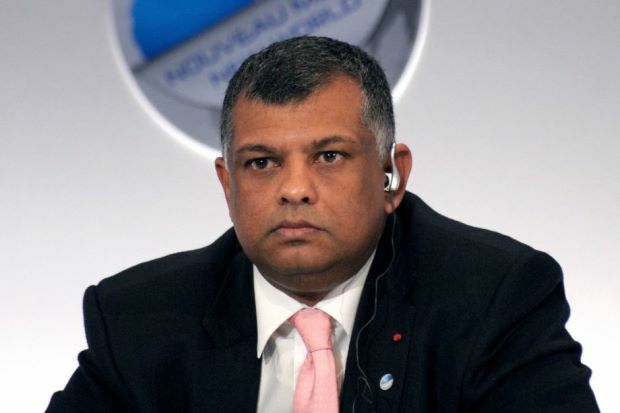 AirAsia's chief, Mr Tony Fernandes, who arrived at the centre before Mr Joko, took his turn to speak to the media then. 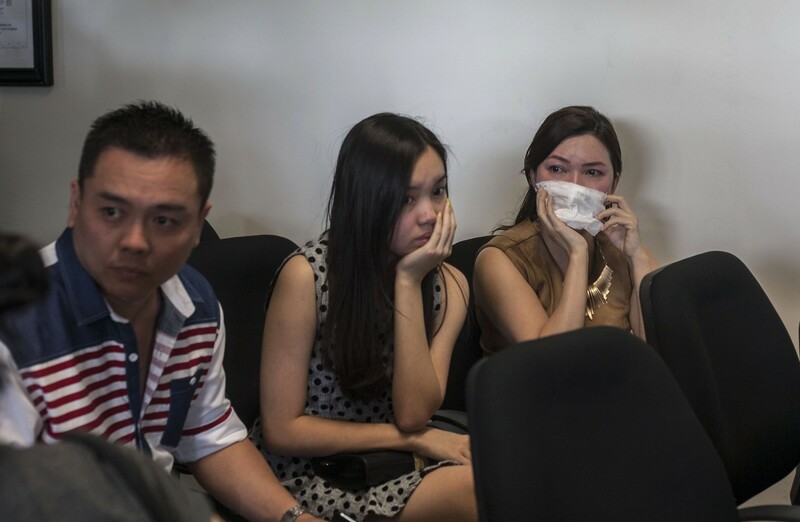 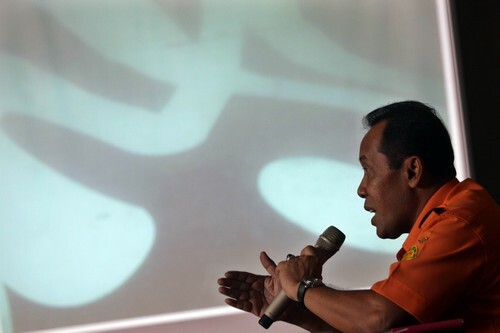 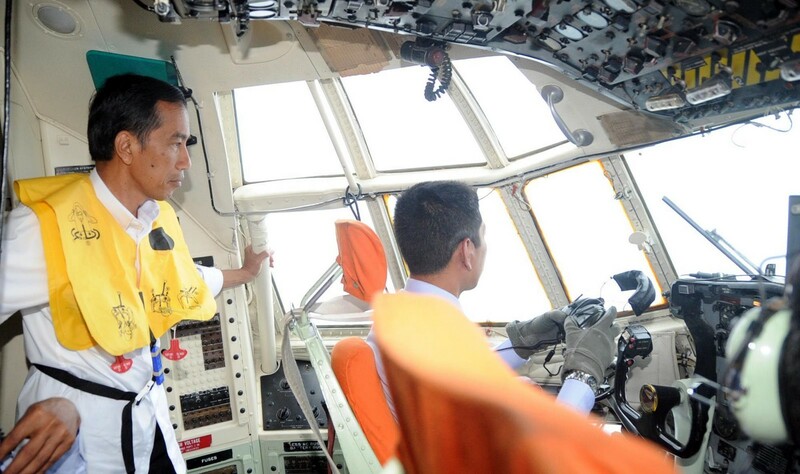 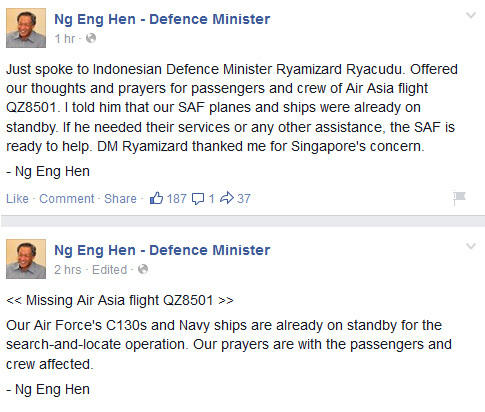 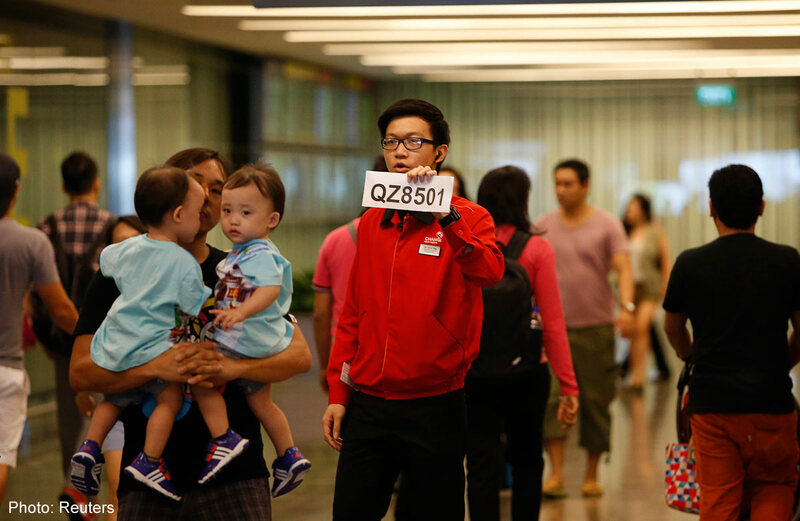 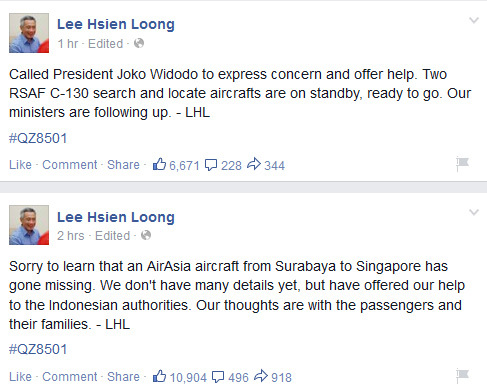 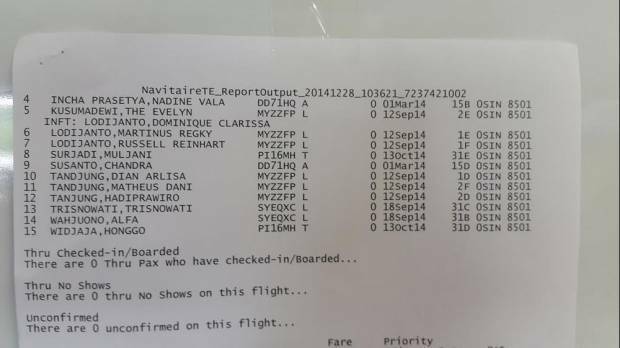 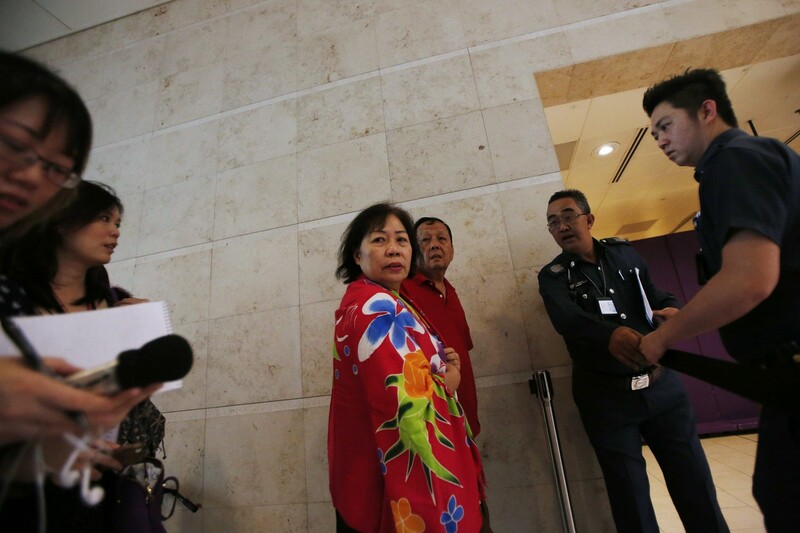 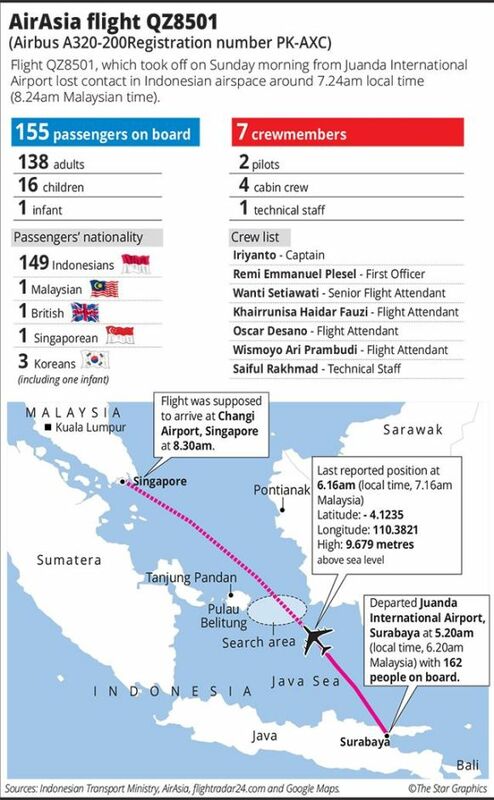 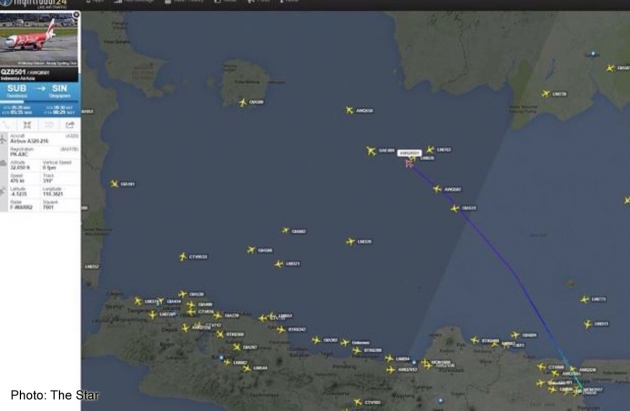 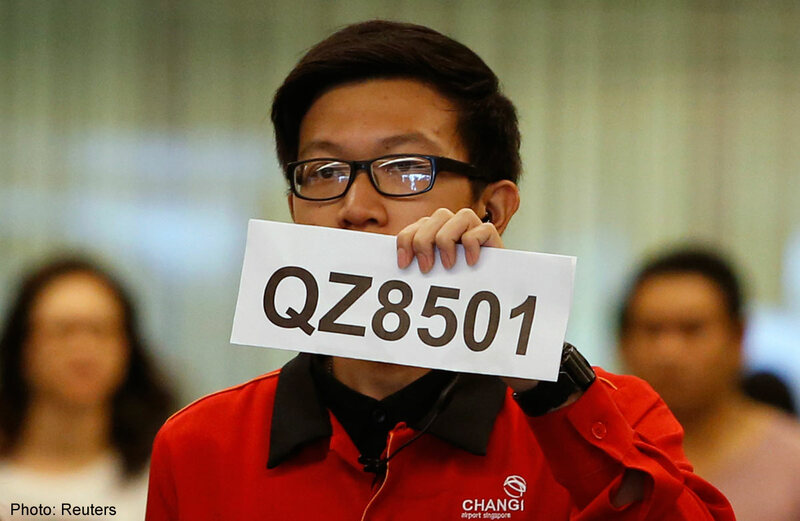 He revealed how plans for a chartered flight to fly relatives over QZ8501's last known position to pray for their loved ones were cancelled after it became known that the crash area had been found. 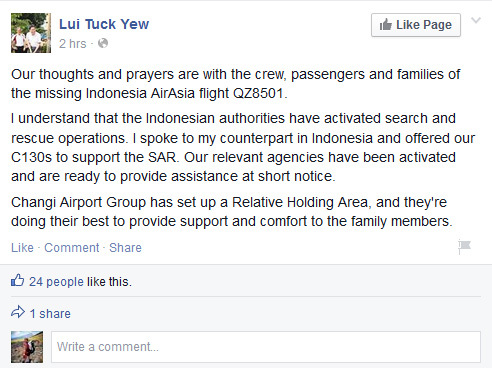 He said he would be flying to the site of operations today, with some of the airline's key staff. 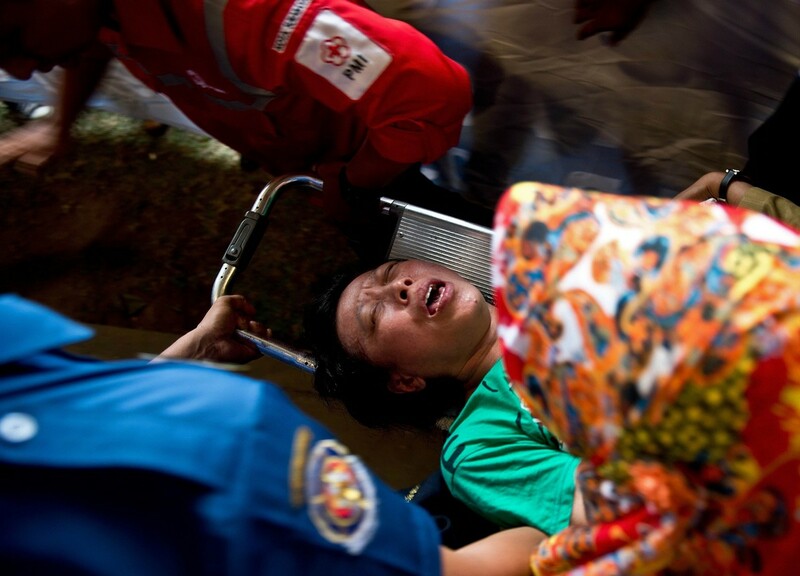 "This is a scar with me for the rest of my life. 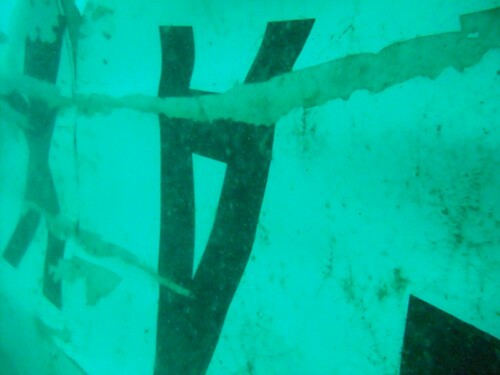 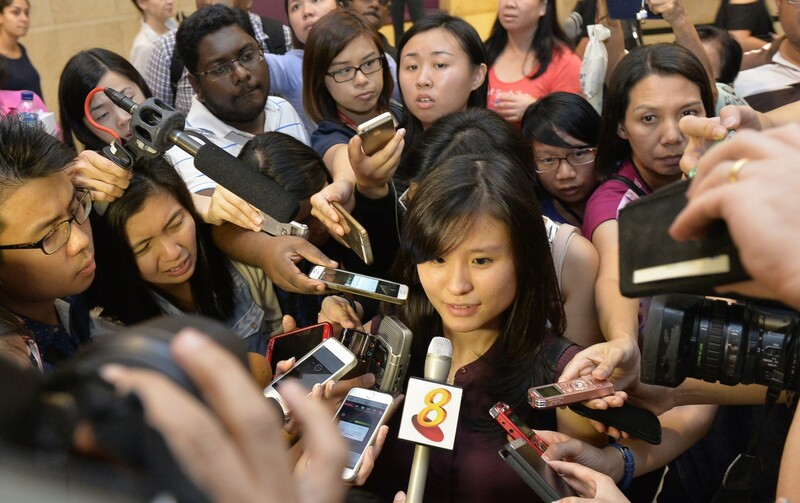 There is some closure as (opposed) to not knowing what happened." 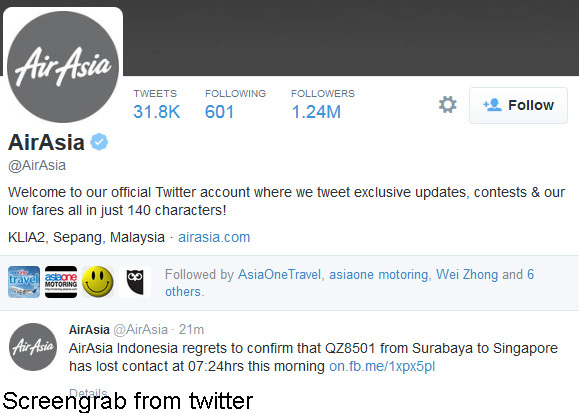 The airline will proceed with advance compensations, he added, without giving further details. 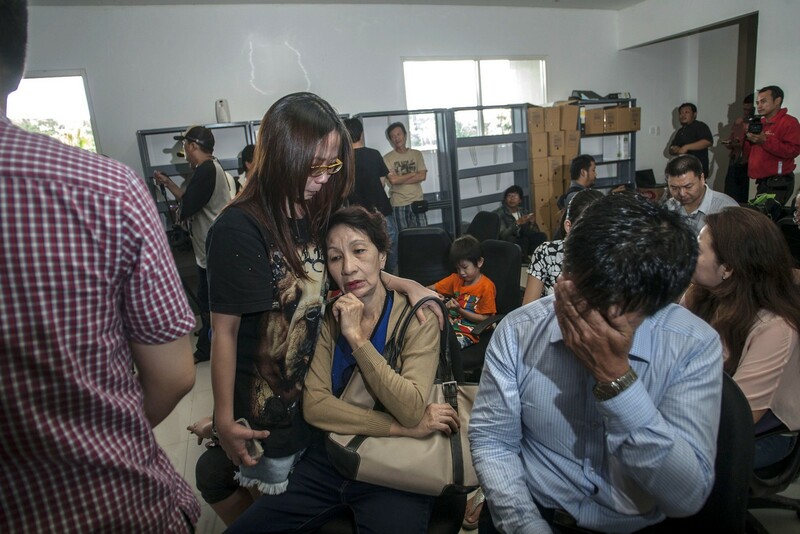 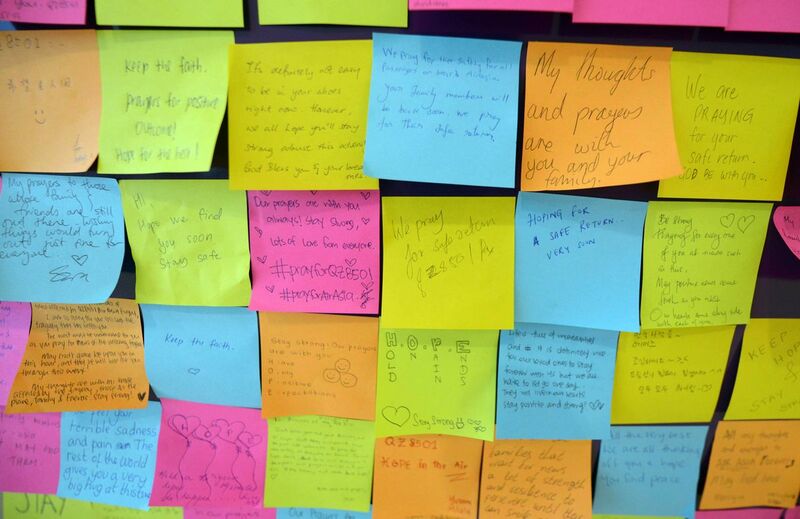 Yesterday morning, relatives at the centre began their day holding on to hope. 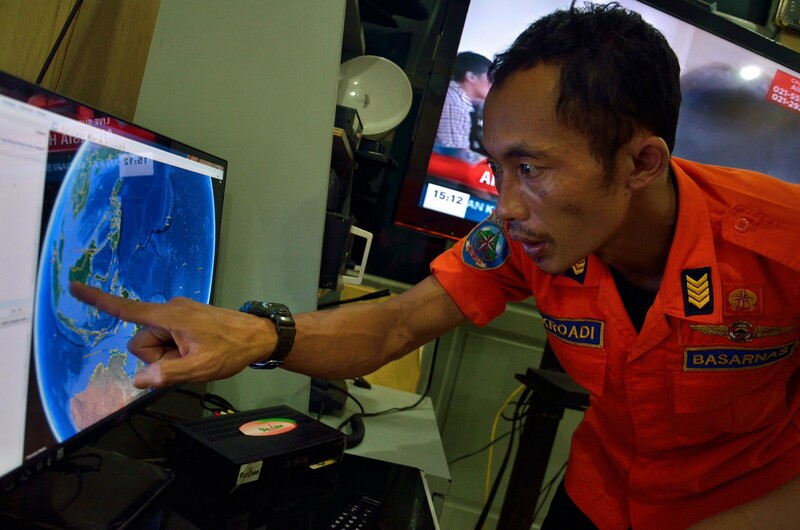 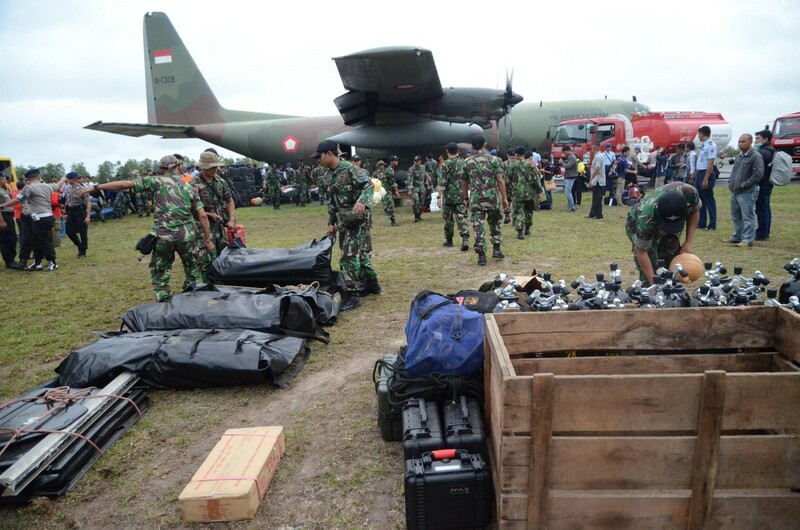 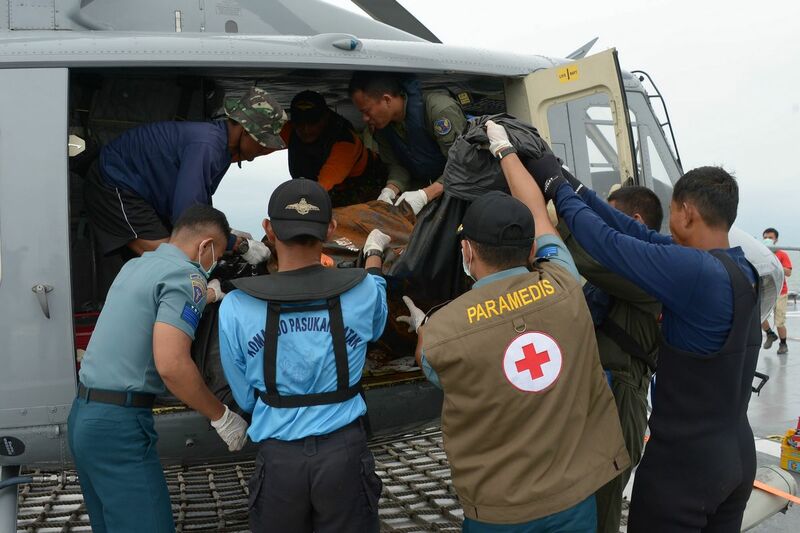 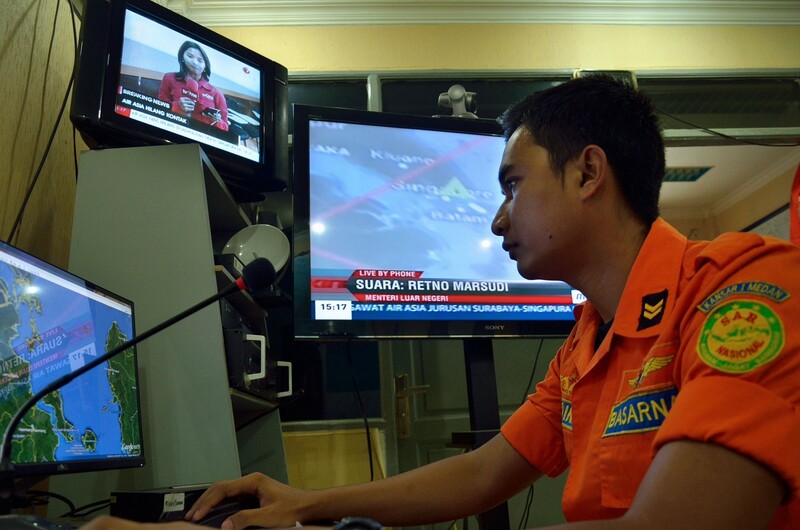 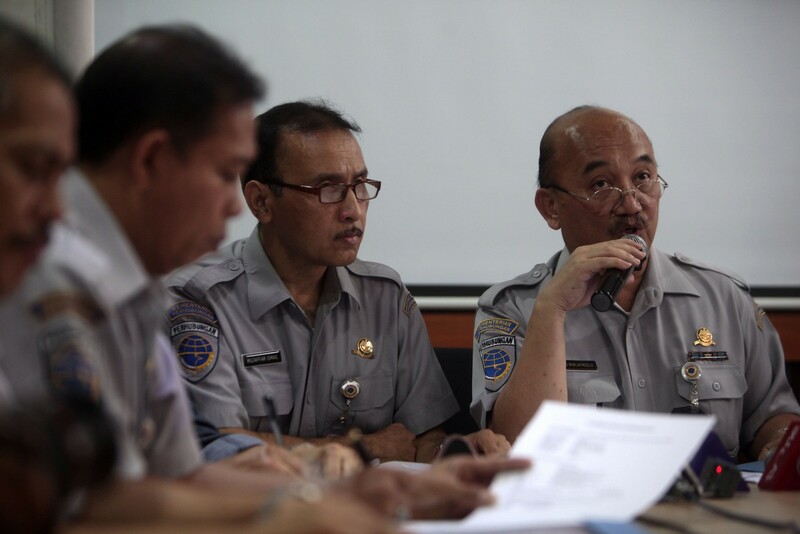 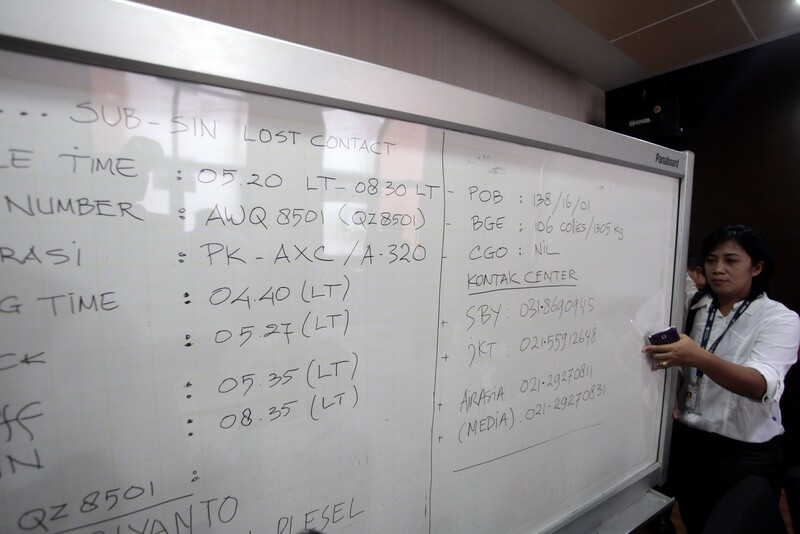 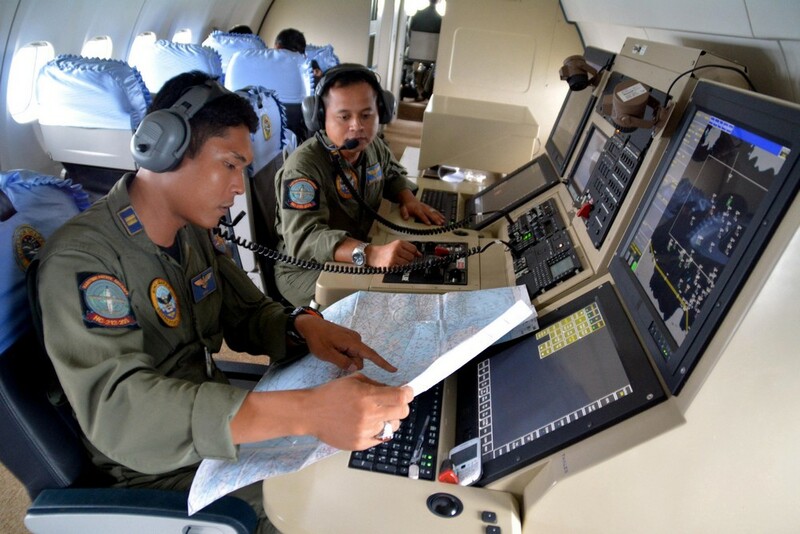 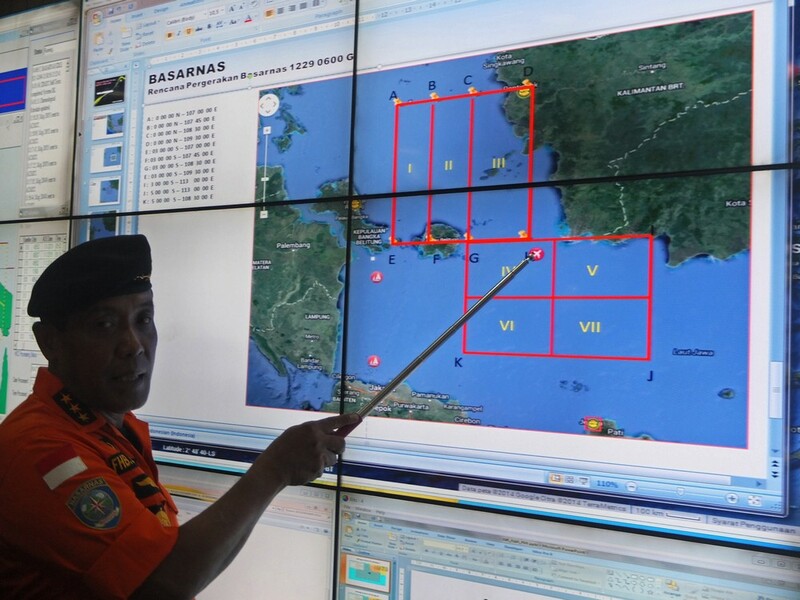 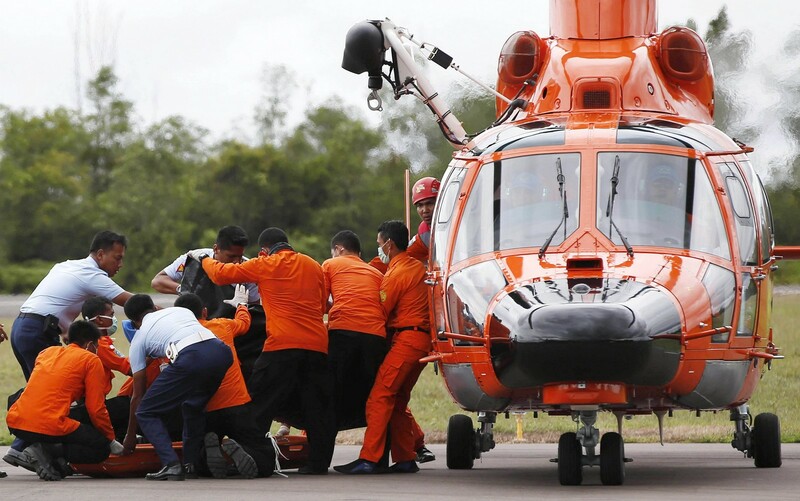 They were given an update on search operations at around 10.40am by Indonesia's search and rescue agency chief Bambang Soelistyo through video link, and by Indonesia AirAsia chief executive Sunu Widyatmoko in the room. 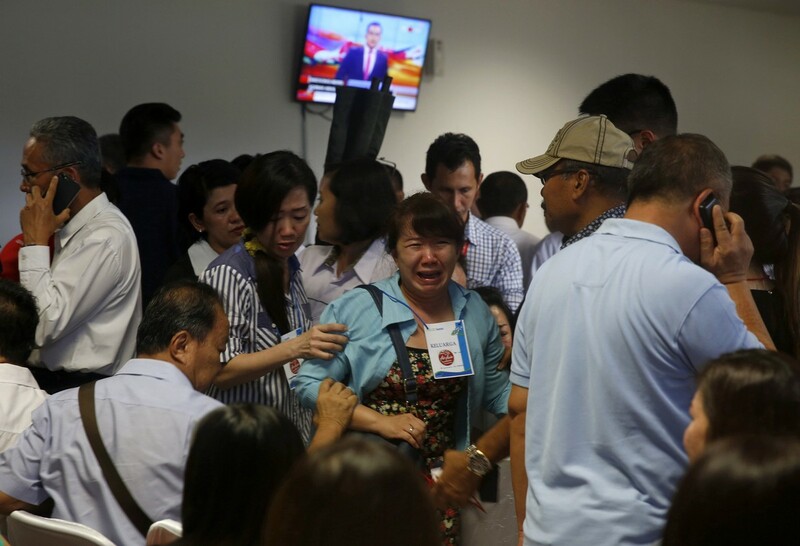 After the briefings, which lasted 30 minutes, relatives bowed their heads as they were led in prayer by a priest, a pastor and a Muslim cleric. 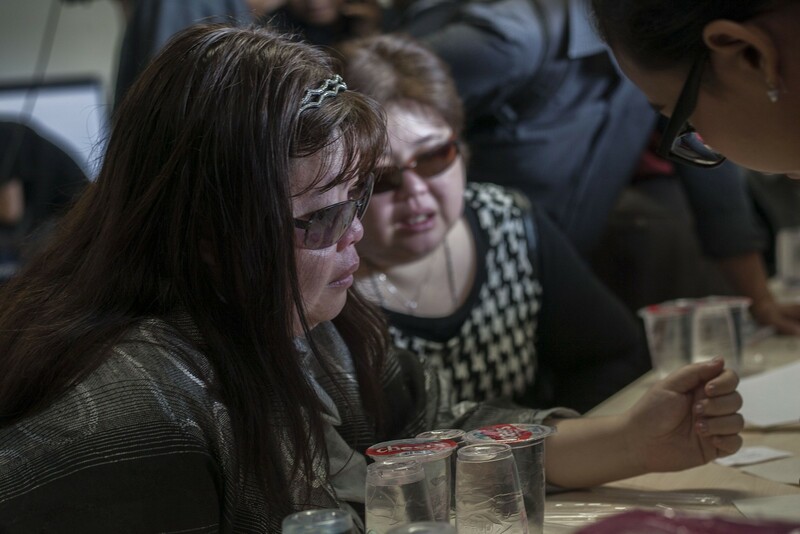 Some wiped away their tears, but most kept their emotions in check. 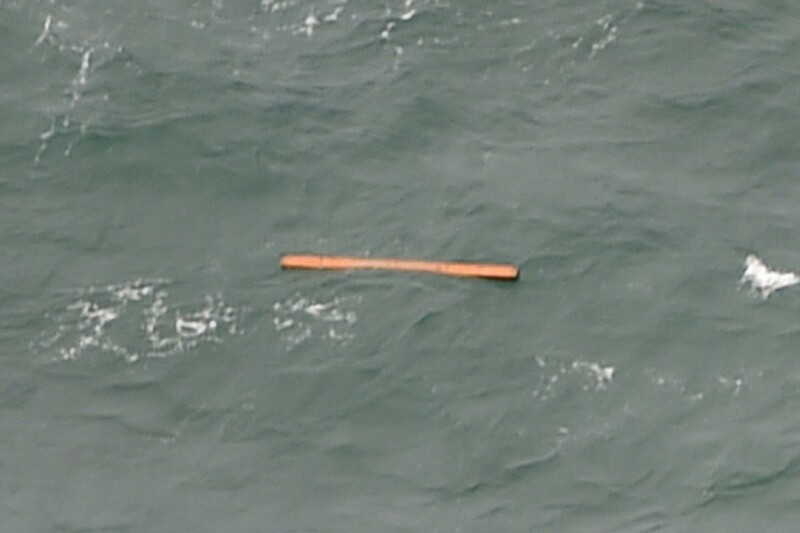 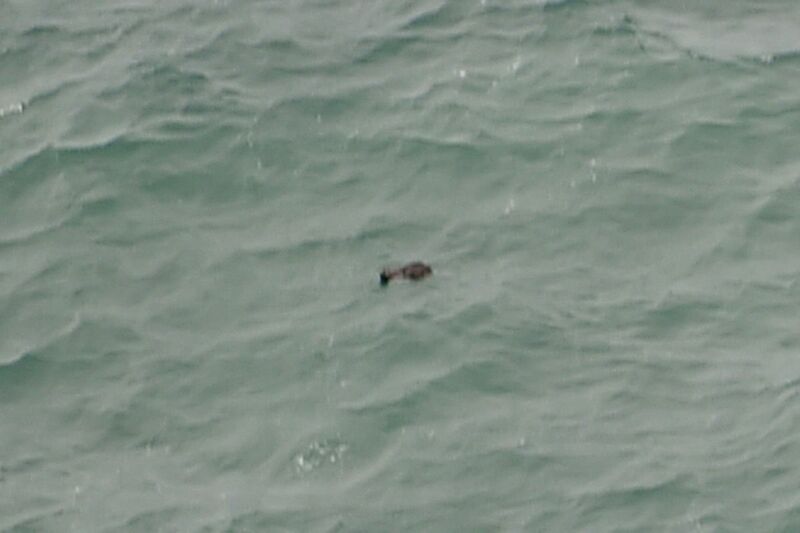 Then, news reports emerged that a vest had been spotted in the sea. 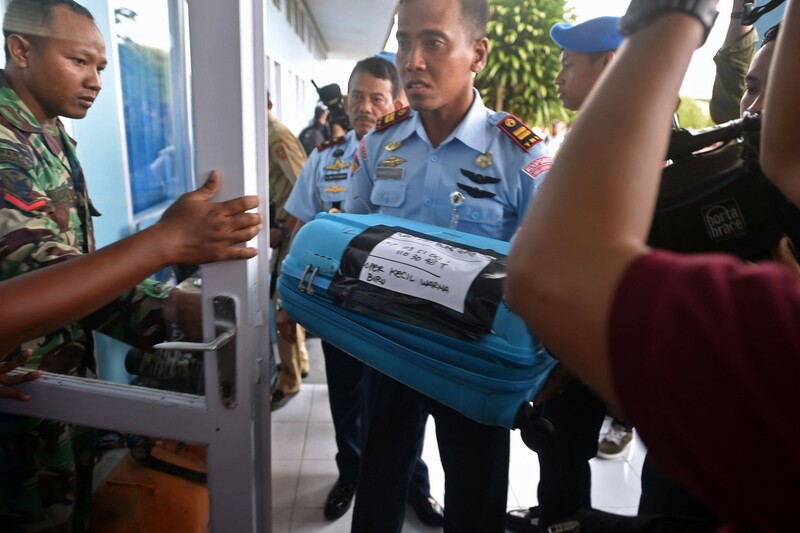 Mr Dwi Jayanto said his 31-year-old son Bhima Aly Wicaksana, a property agent, was on the plane - on the way for a holiday to Singapore. 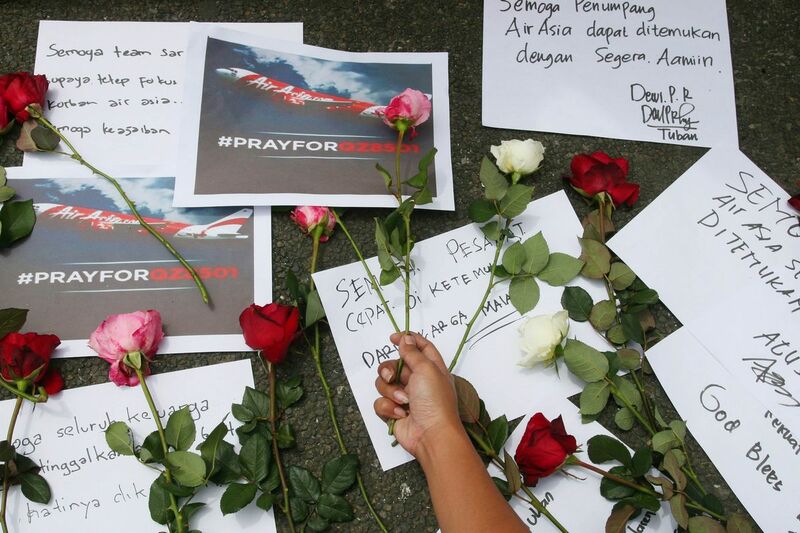 The 60-year-old said: "I am still optimistic. 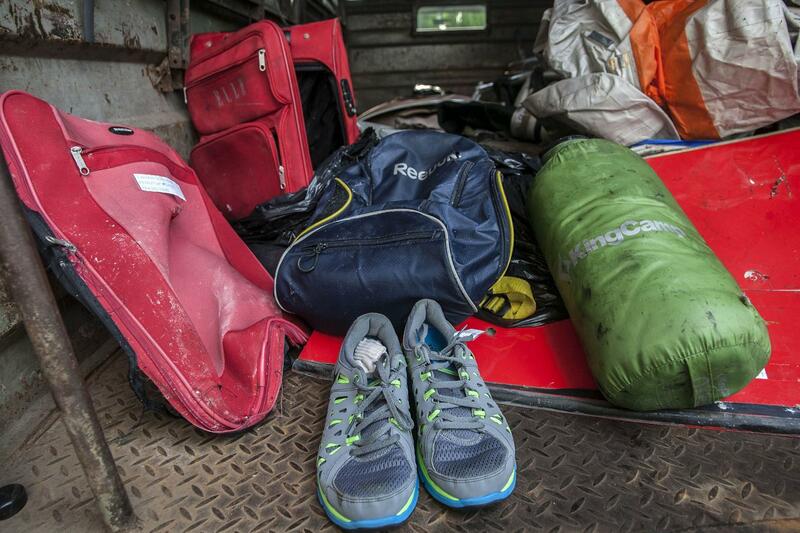 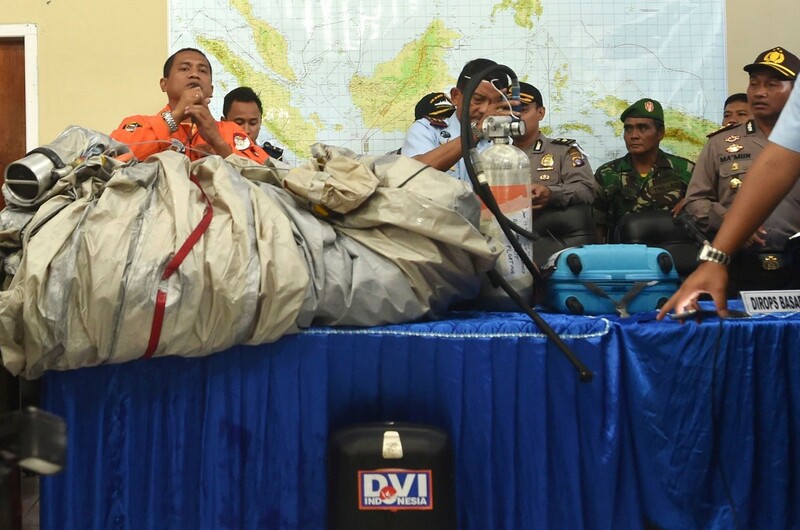 I have hope that the vest is not from the plane." 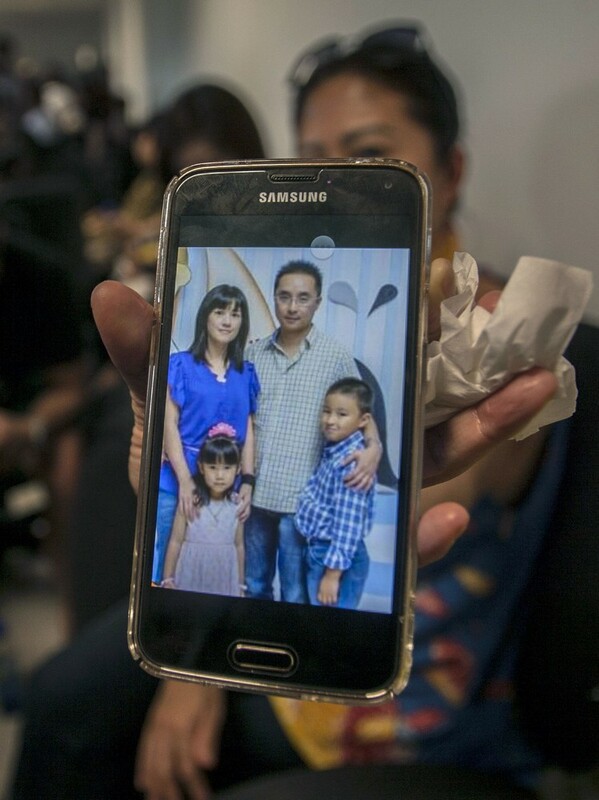 Then Mr Soelistyo gave a televised address in Jakarta, confirming that debris found in the sea belonged to the doomed flight. 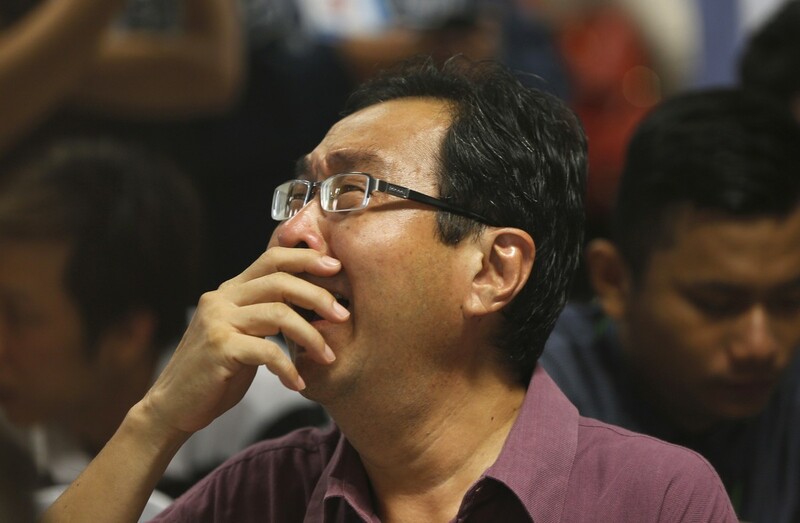 Tears began to flow freely. 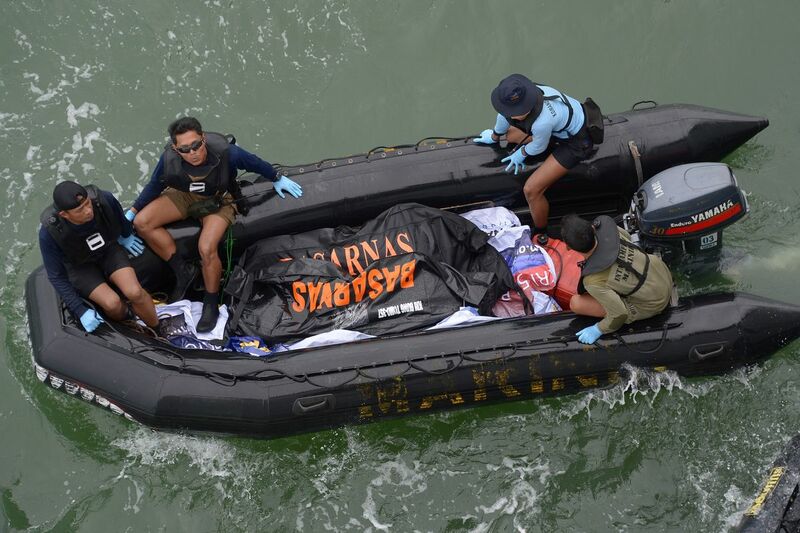 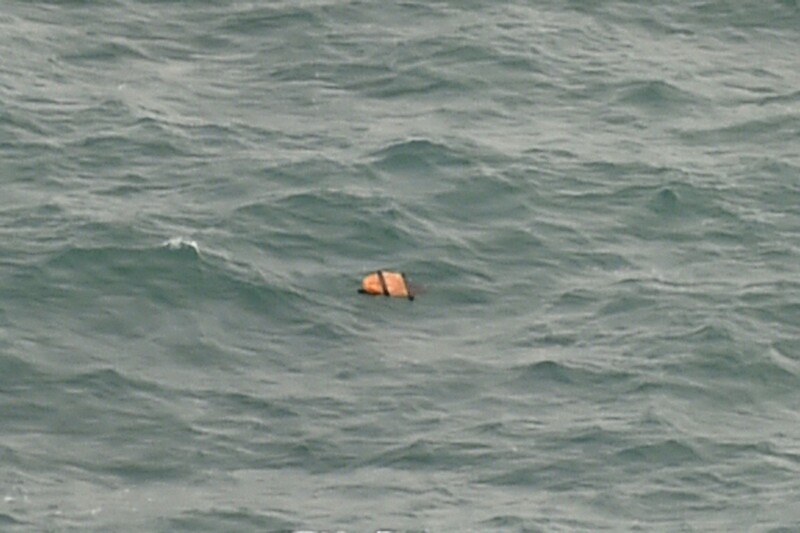 But the image of a body floating in the sea turned sobbing into screams. 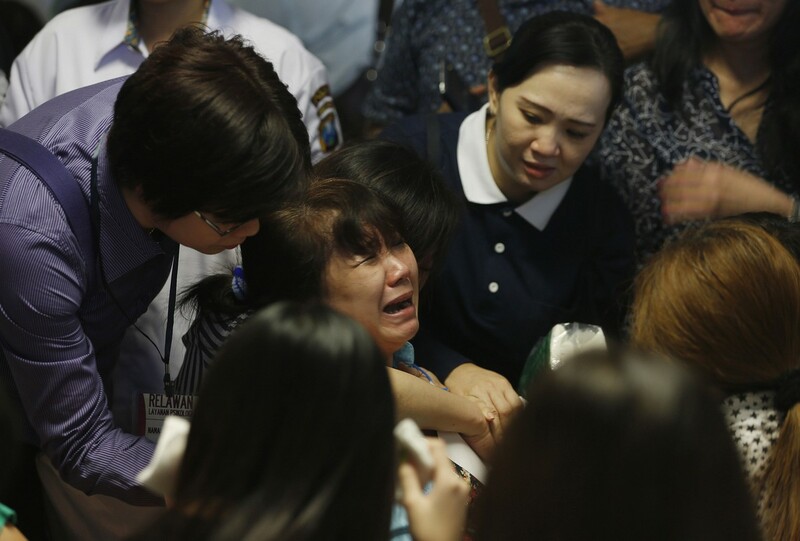 A man fainted and had to be rushed out to an ambulance on a stretcher, followed by another man, then a woman, who was shouting as a relative tried to comfort her. 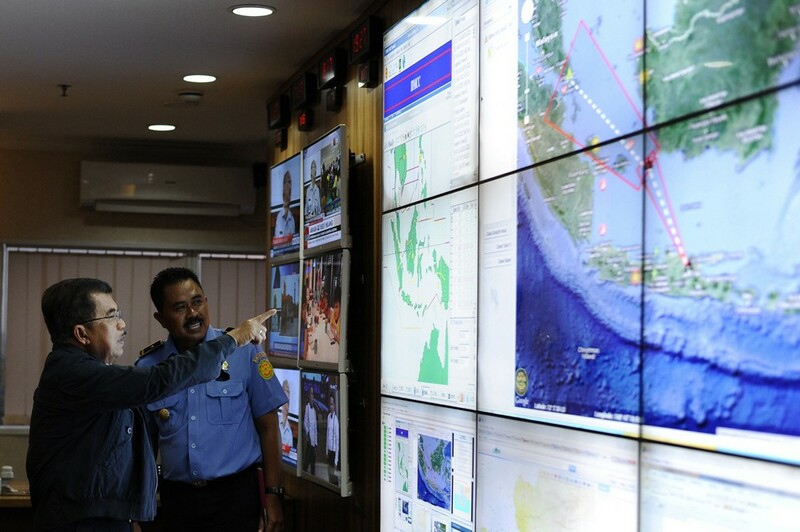 Inside the crisis room, Mr F.Y. 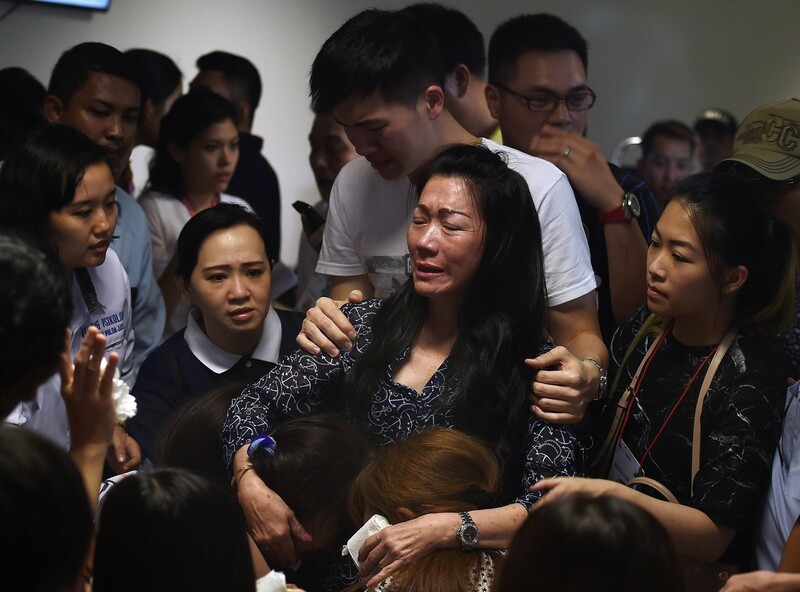 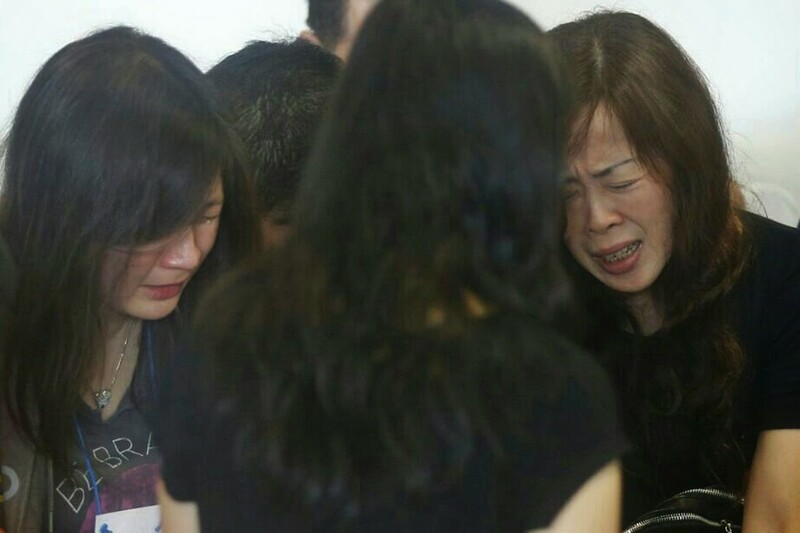 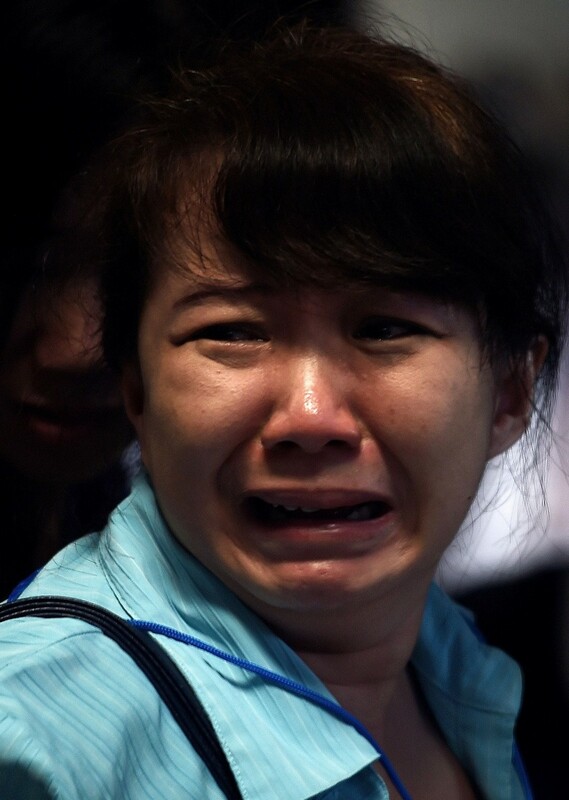 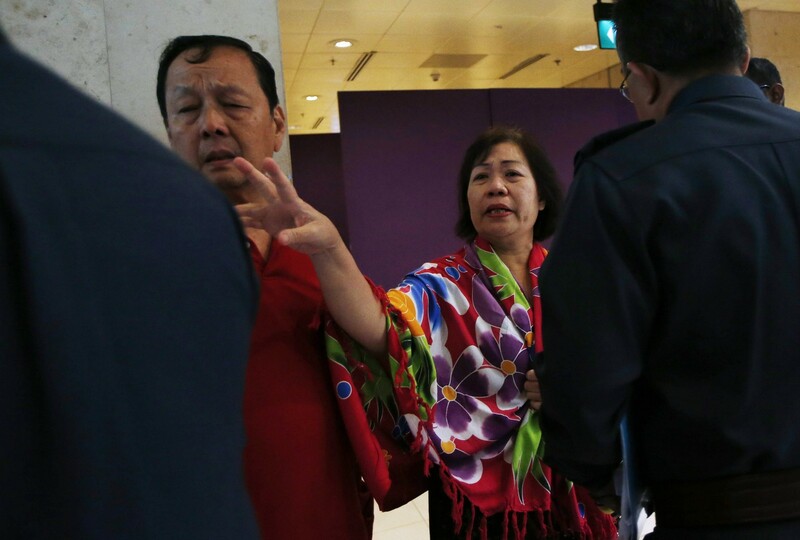 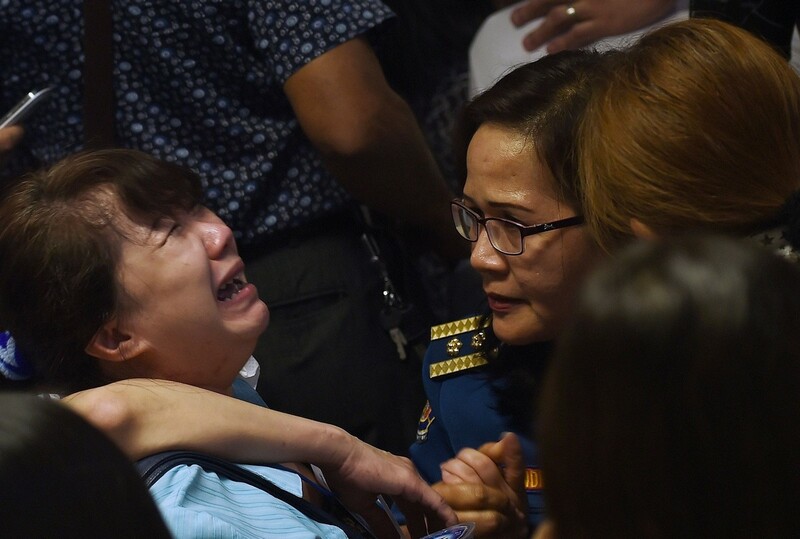 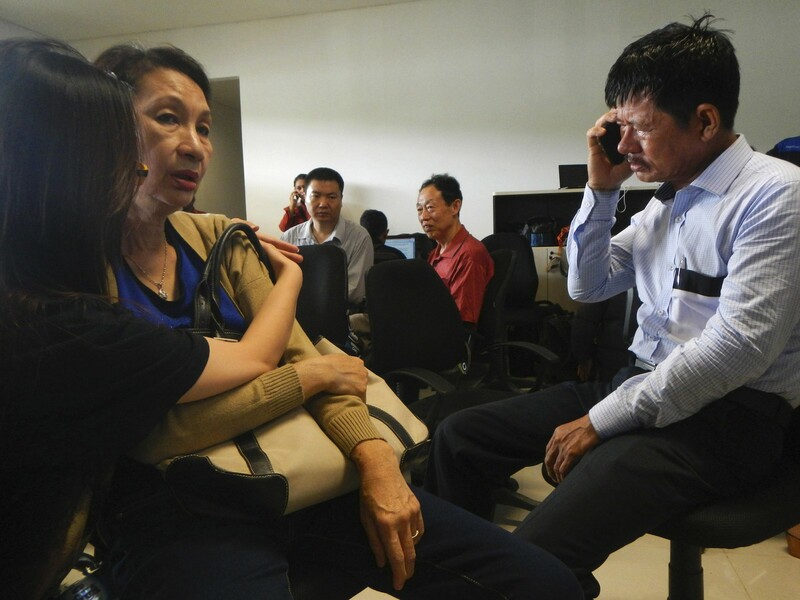 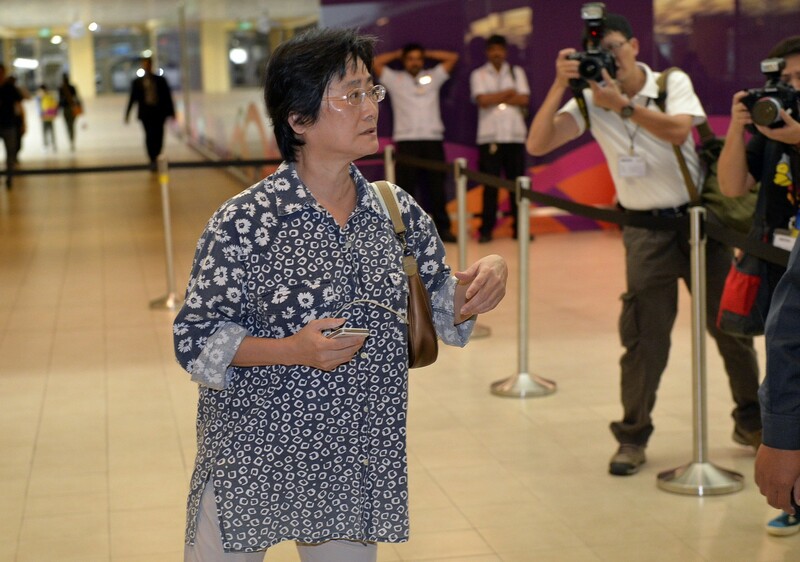 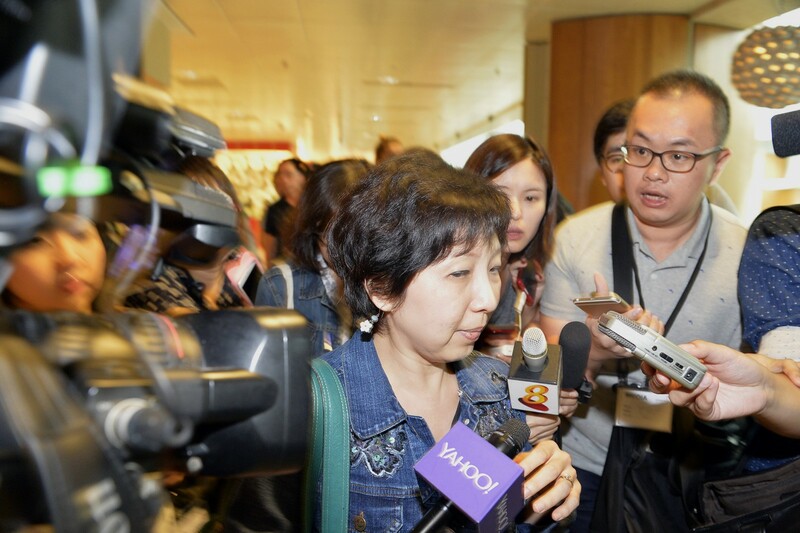 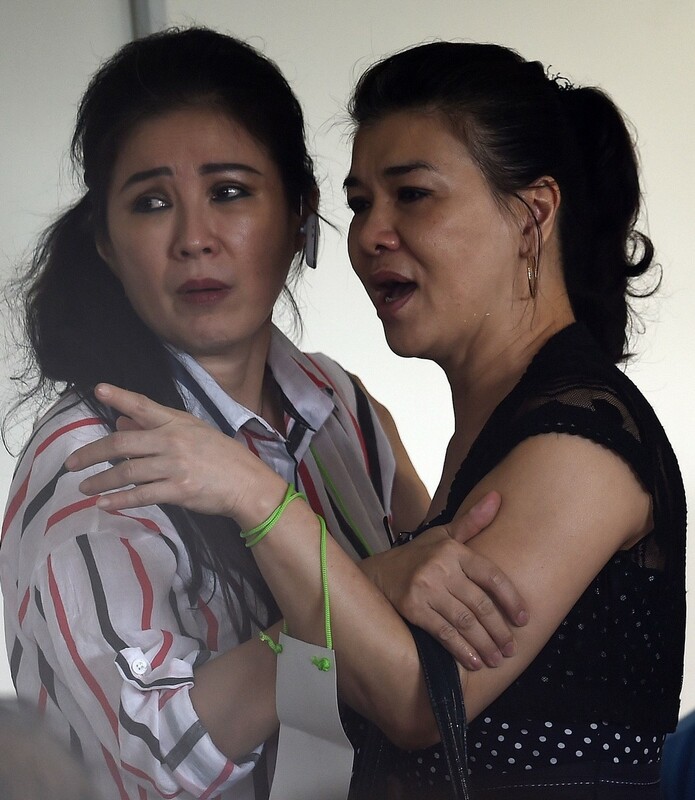 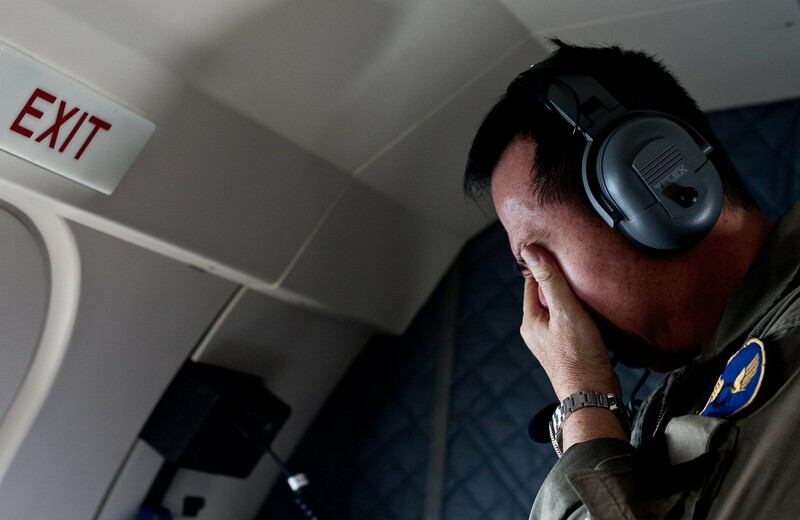 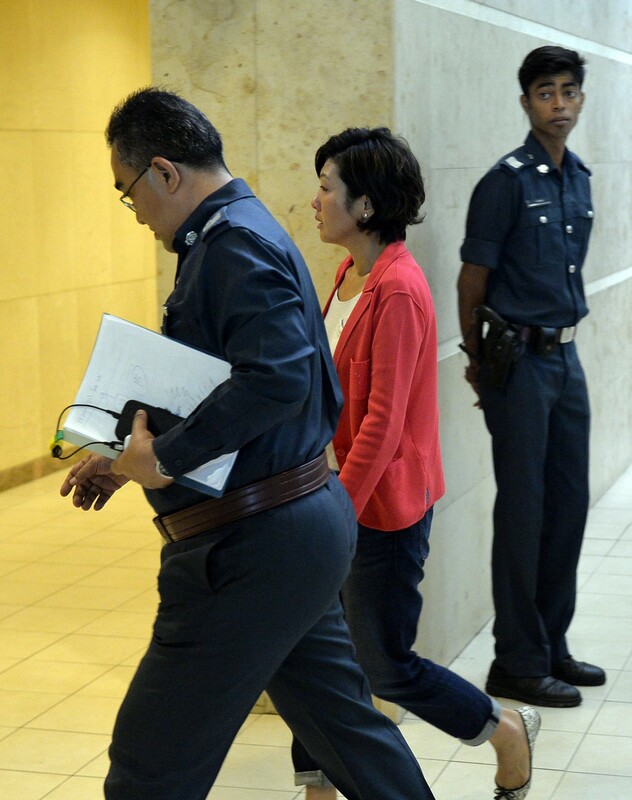 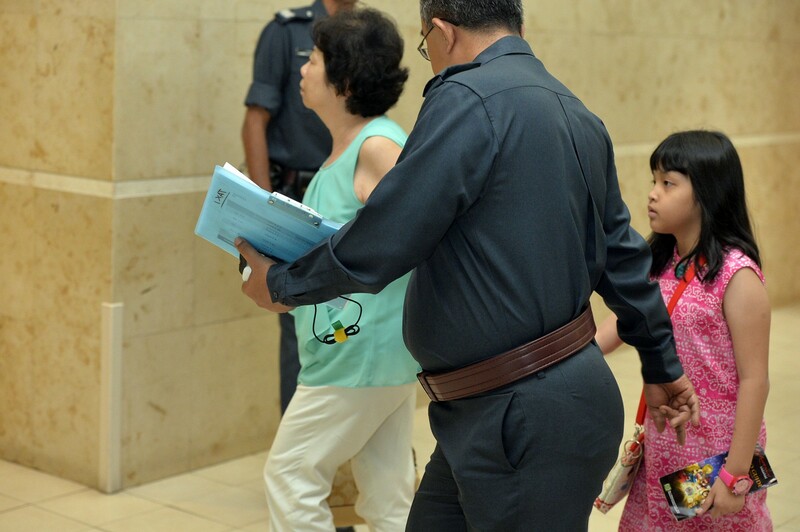 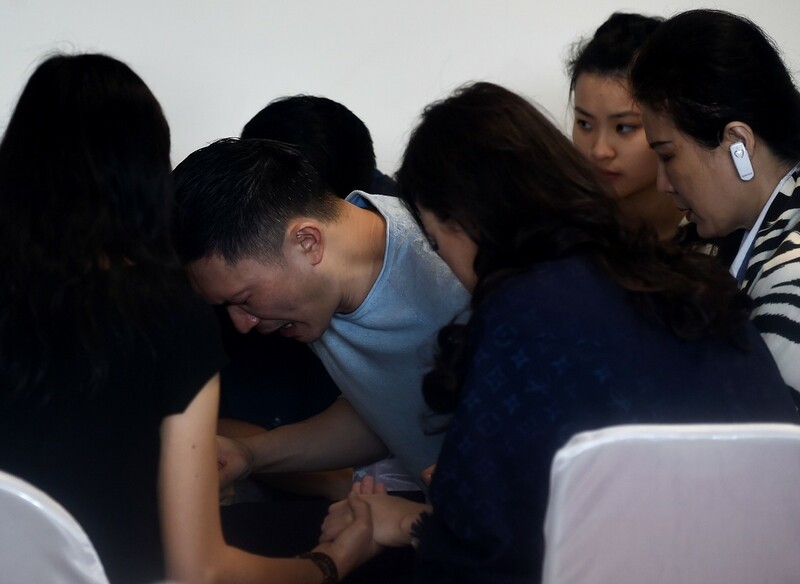 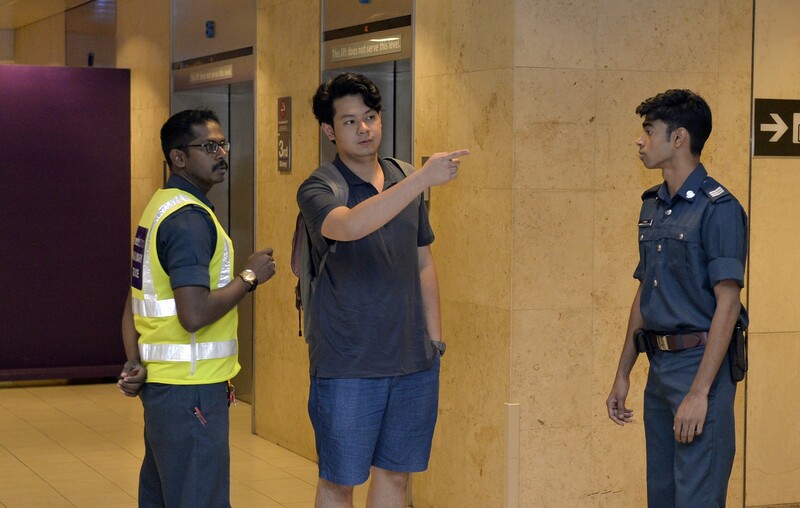 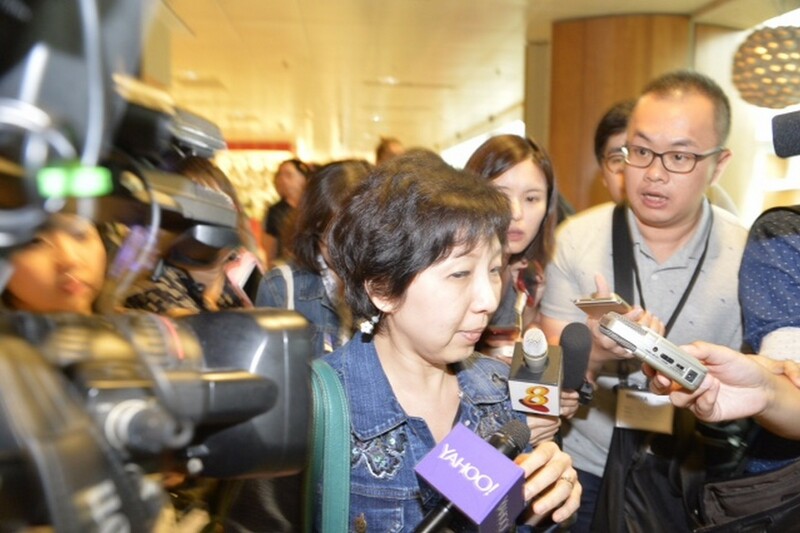 Widodo, the father of Hwa Chong Institution teacher Florentina Maria Widodo who was on the flight, was seen weeping with his son and his daughter's Singaporean boyfriend Andy Paul Chen. 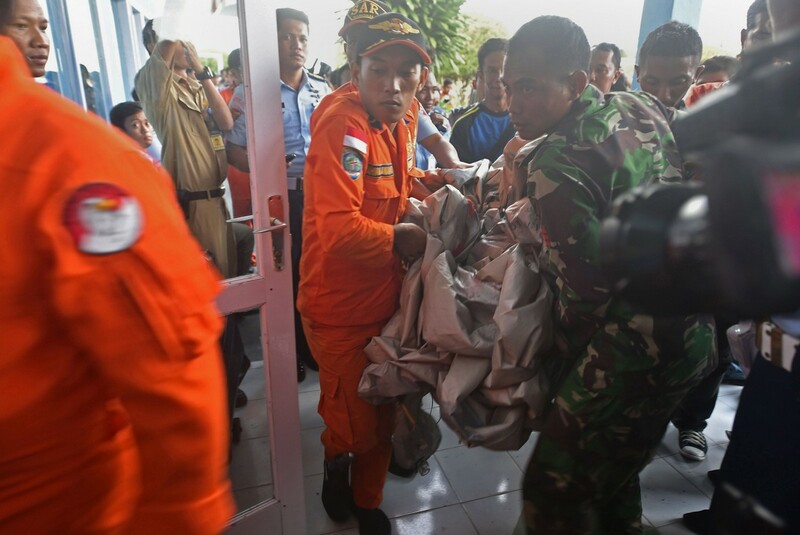 Medics handed out water to the distraught people as more stretchers were brought into the room and an additional ambulance arrived. 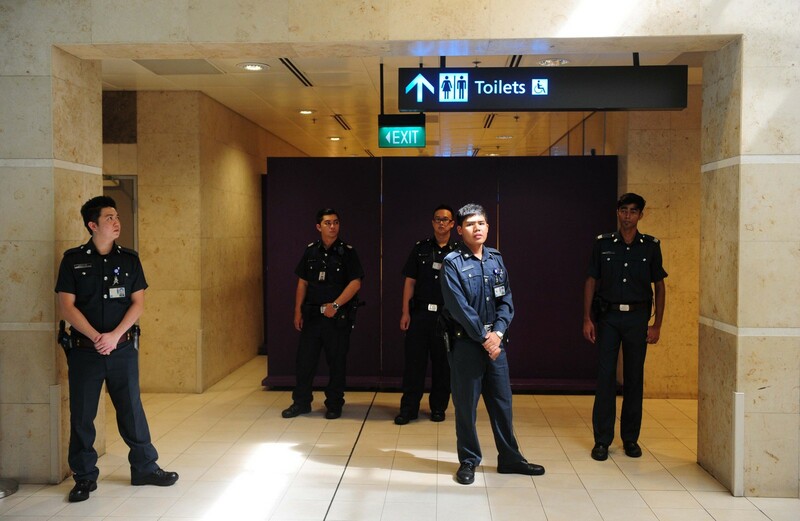 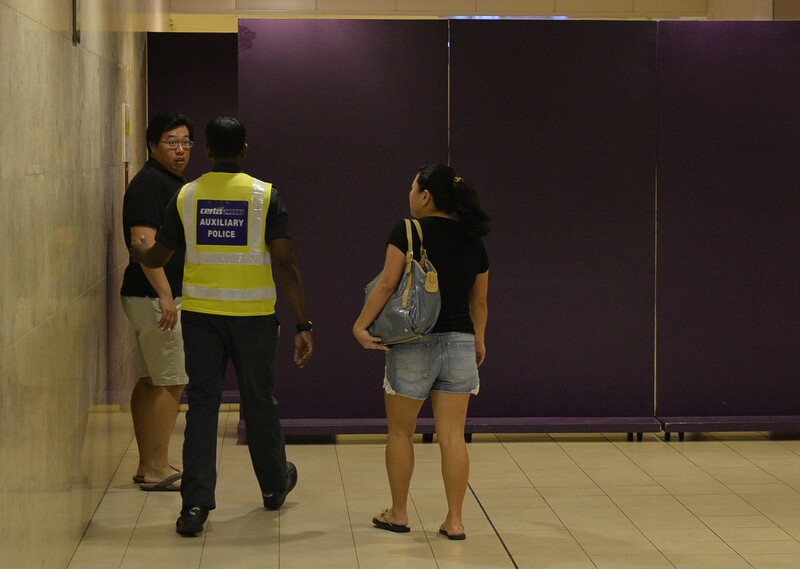 Airport officials then boarded up the two windows outside the crisis centre room to shield relatives from the glare of photographers. 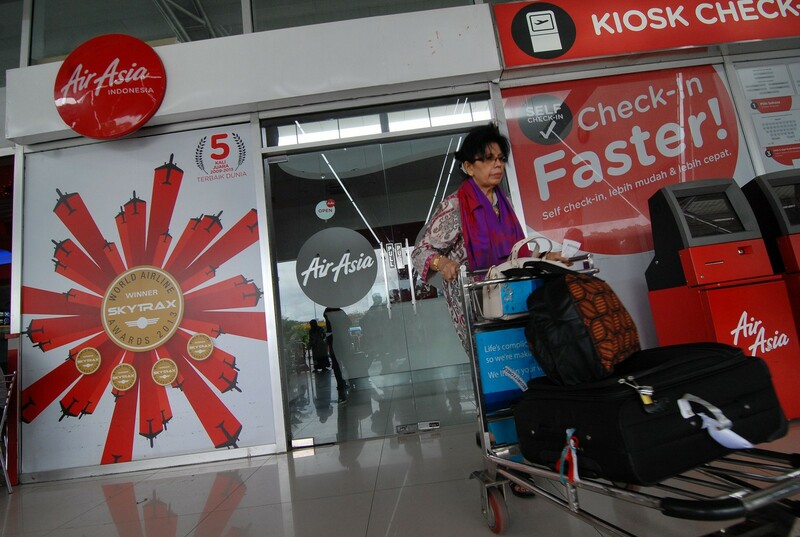 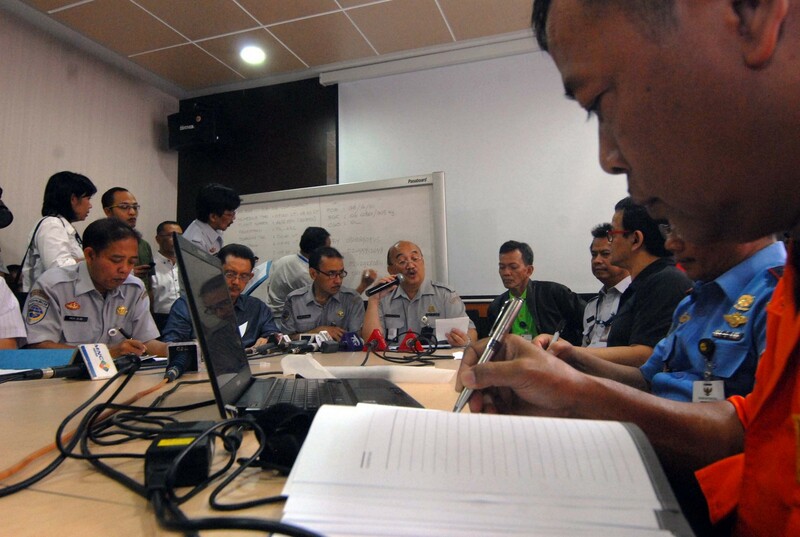 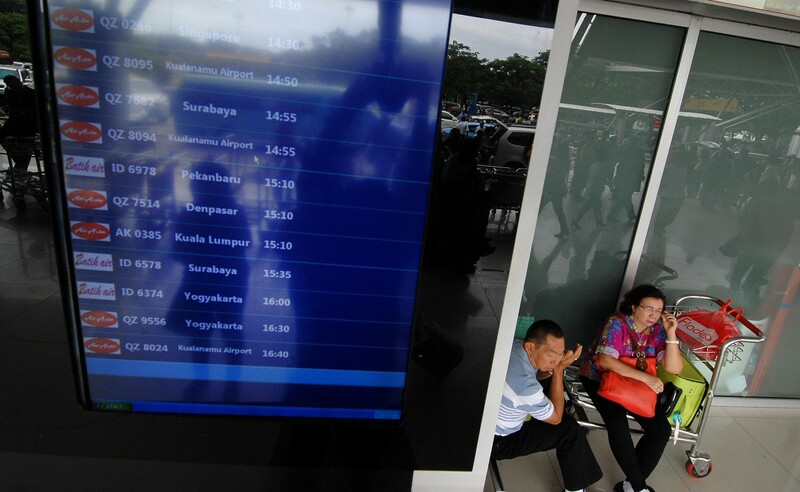 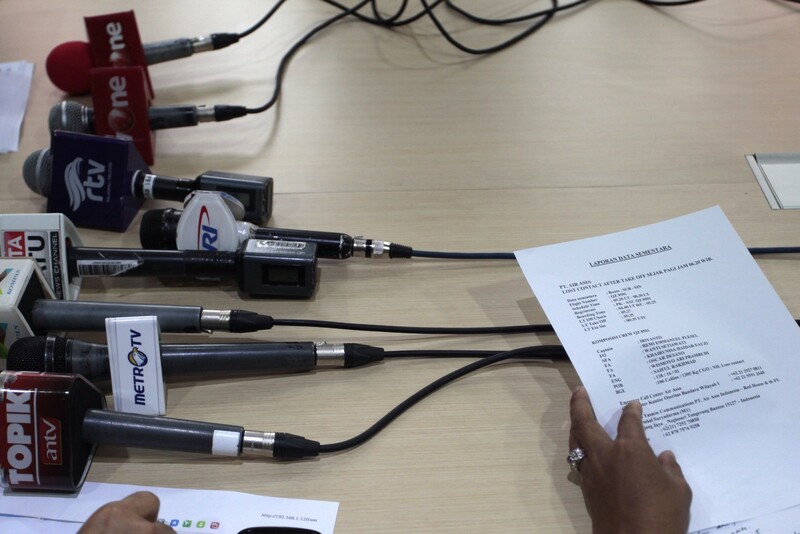 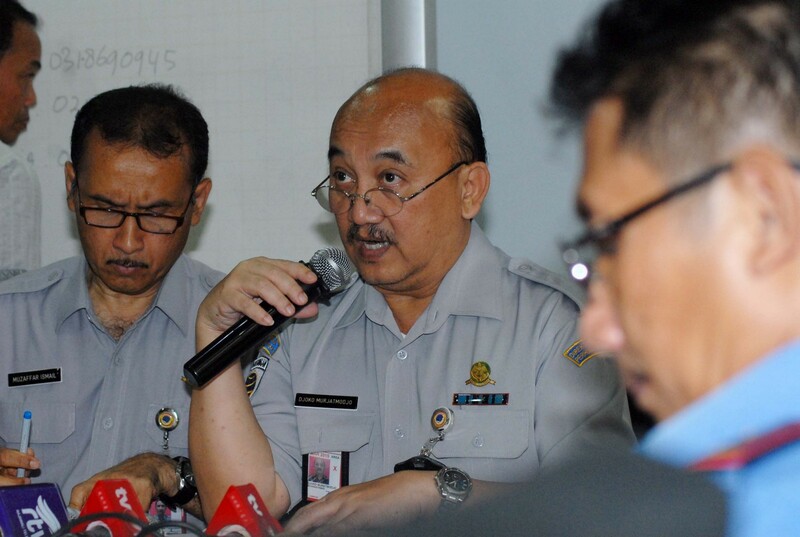 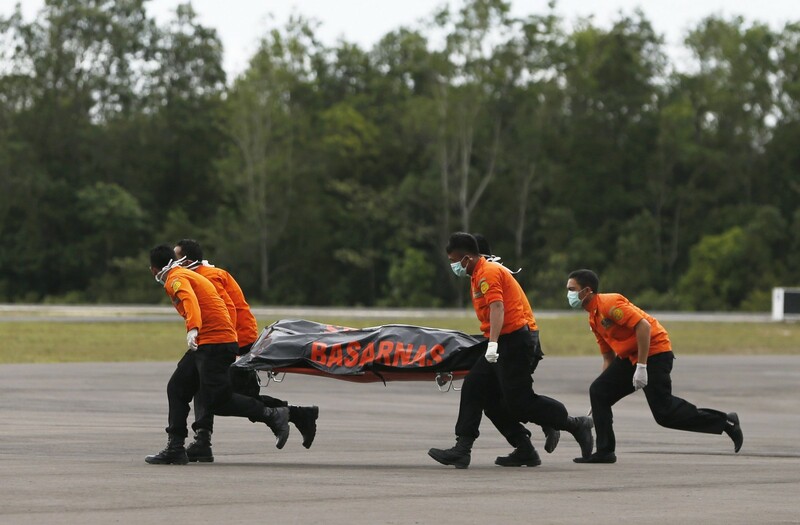 Juanda airport general manager Trikora Harjo emerged from the room shortly after and pleaded with the media not to broadcast the scenes live on air. 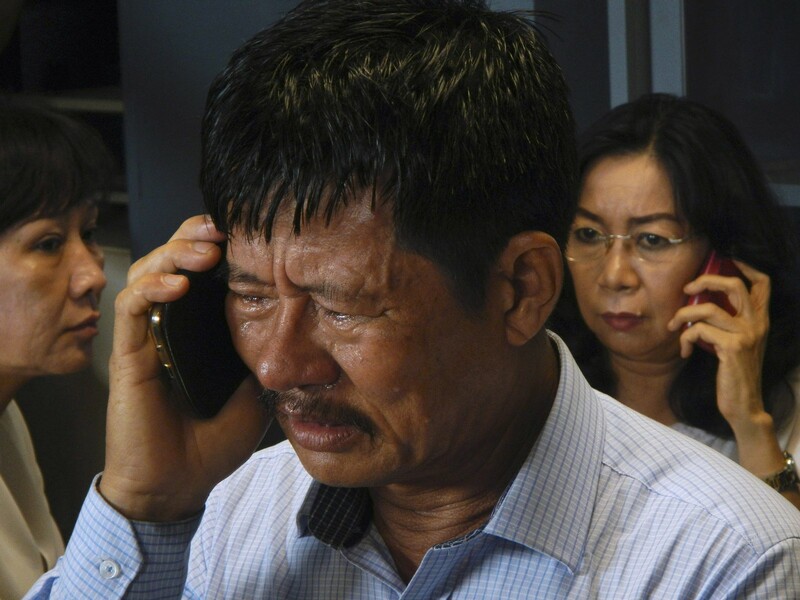 Apparently, the split-screen footage of distraught relatives as they were watching live images of bodies being recovered from the water had made things worse. 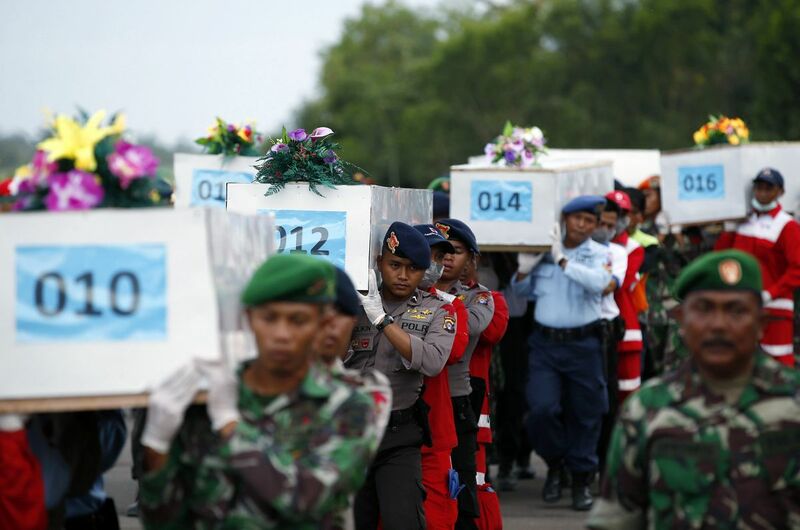 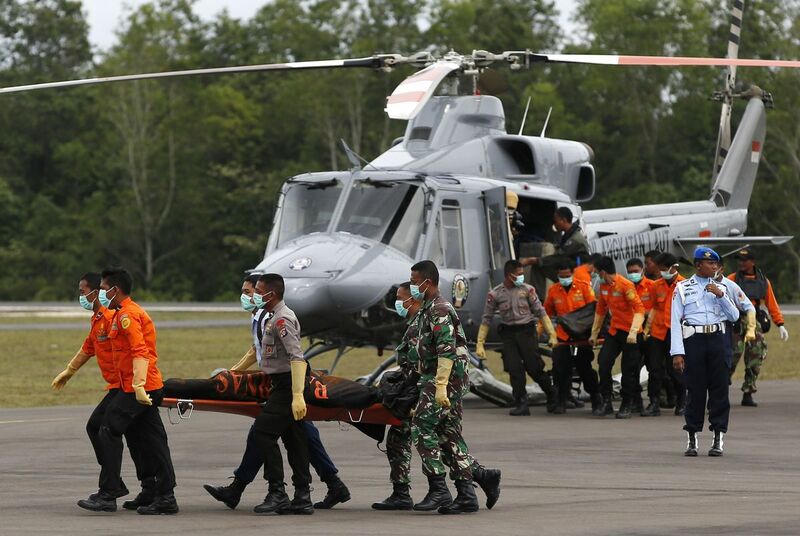 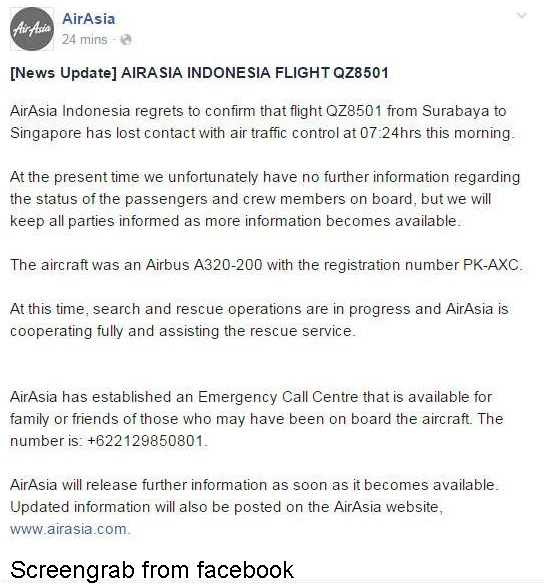 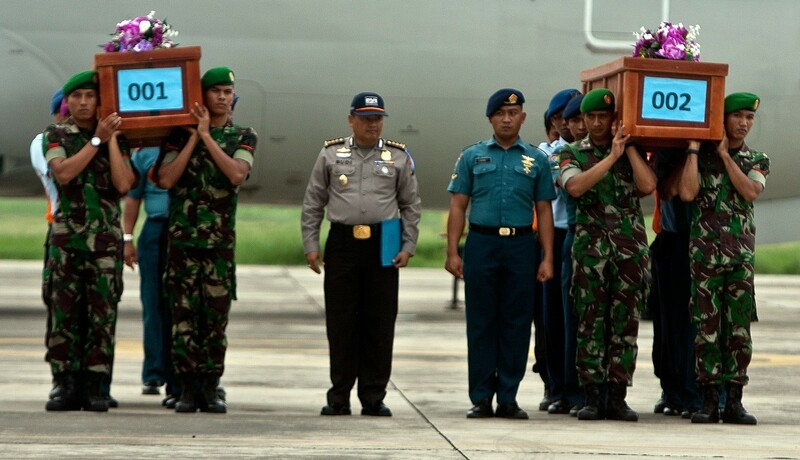 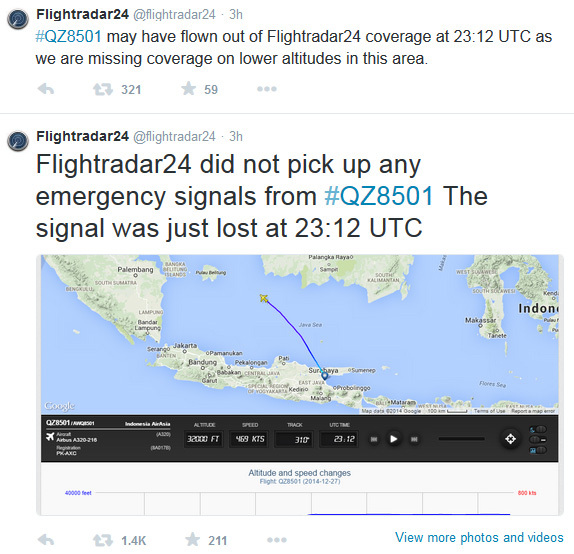 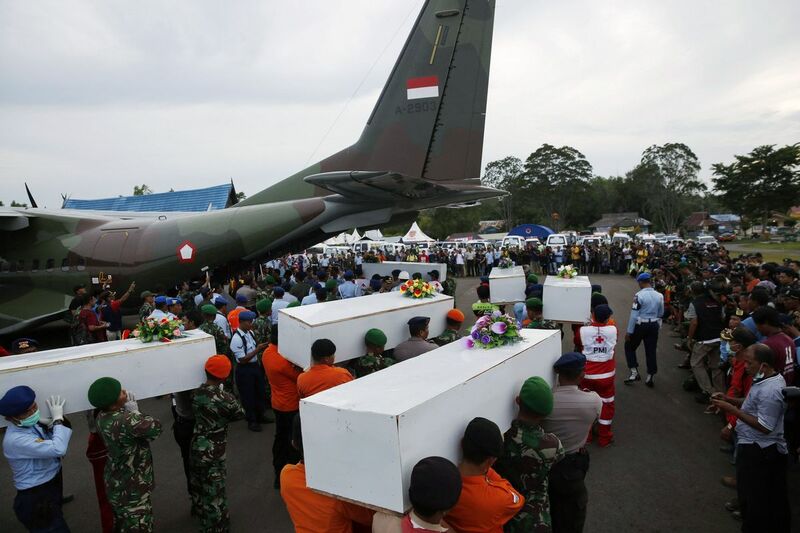 Indonesian television channel TV One later apologised for showing the footage of the bodies.